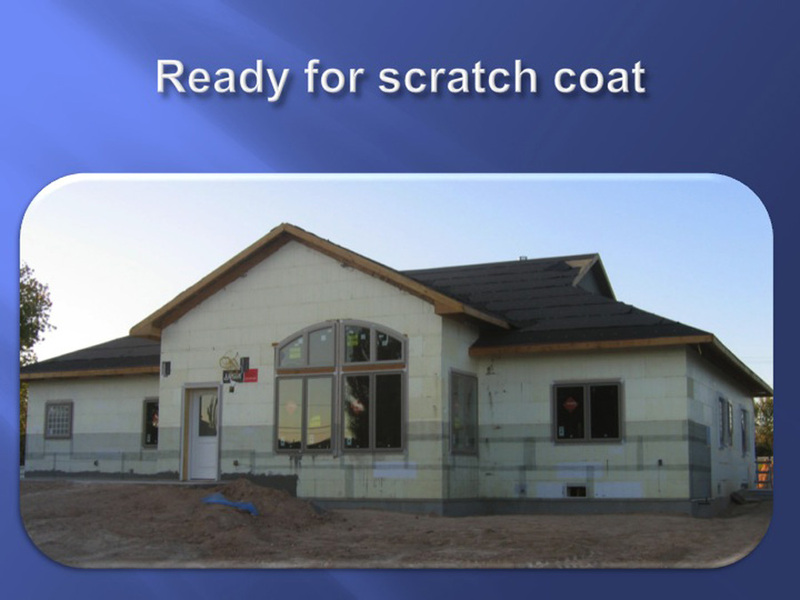 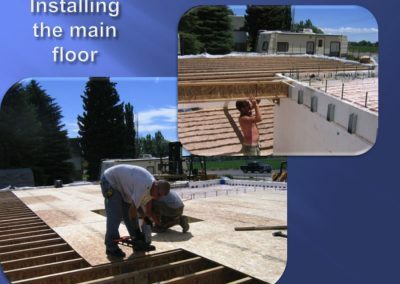 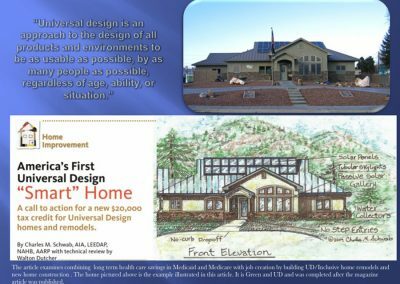 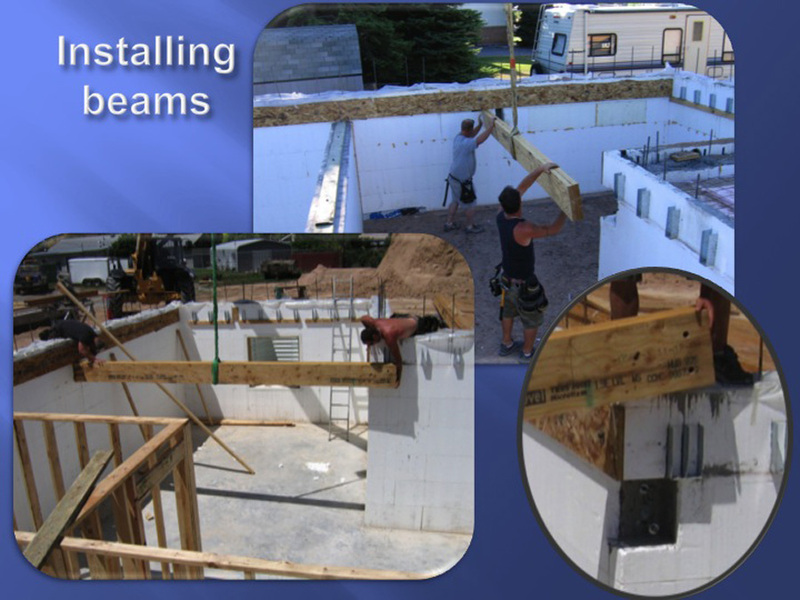 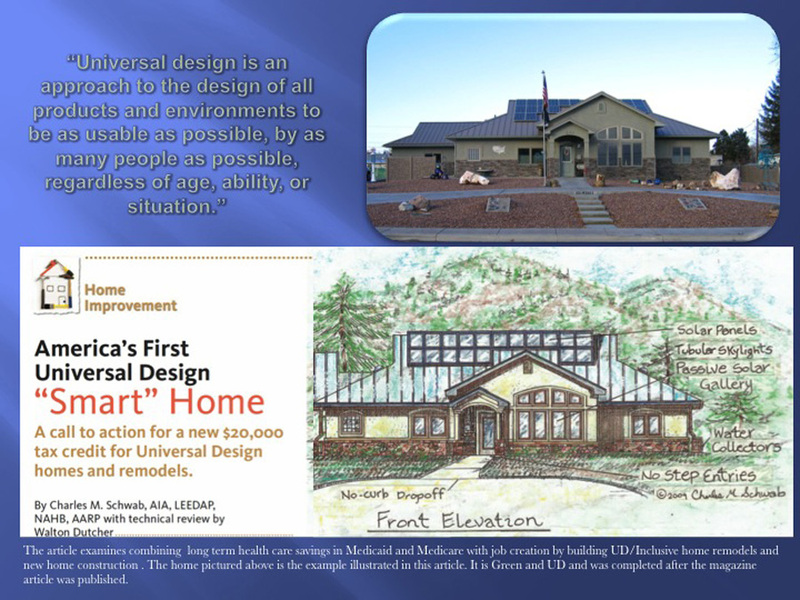 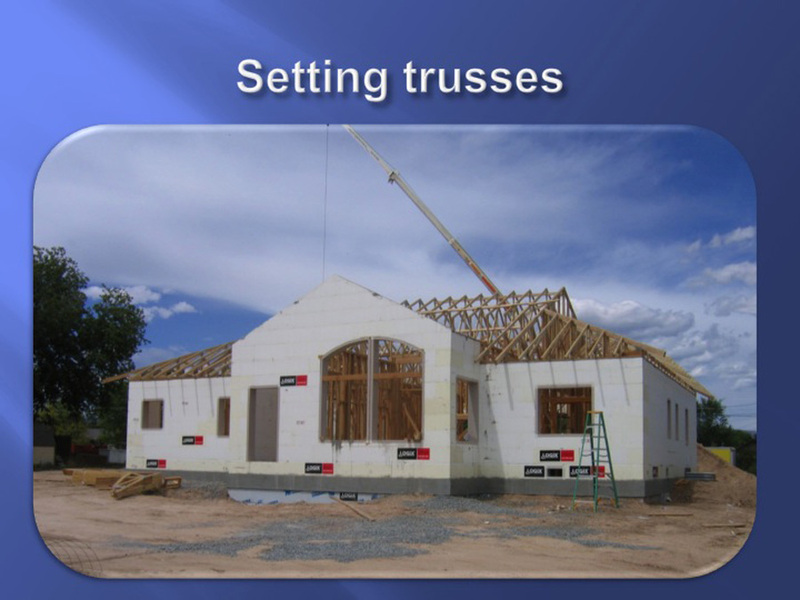 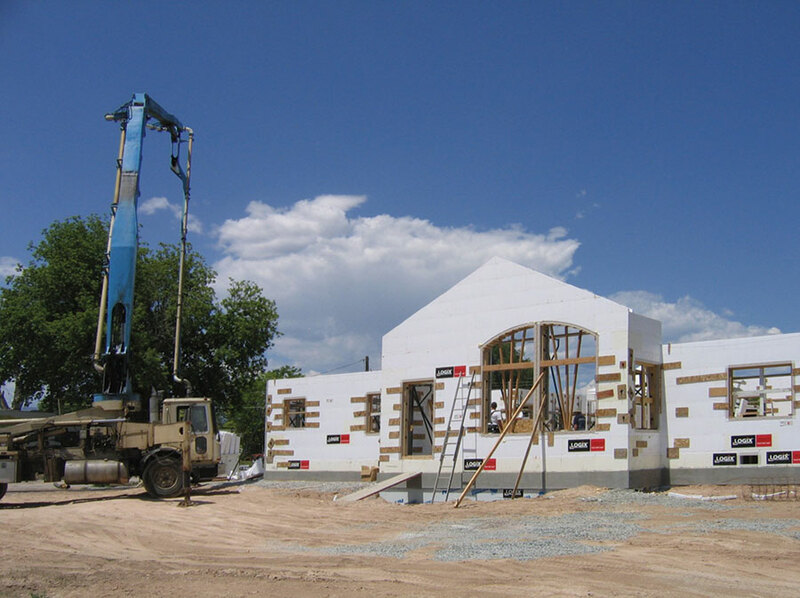 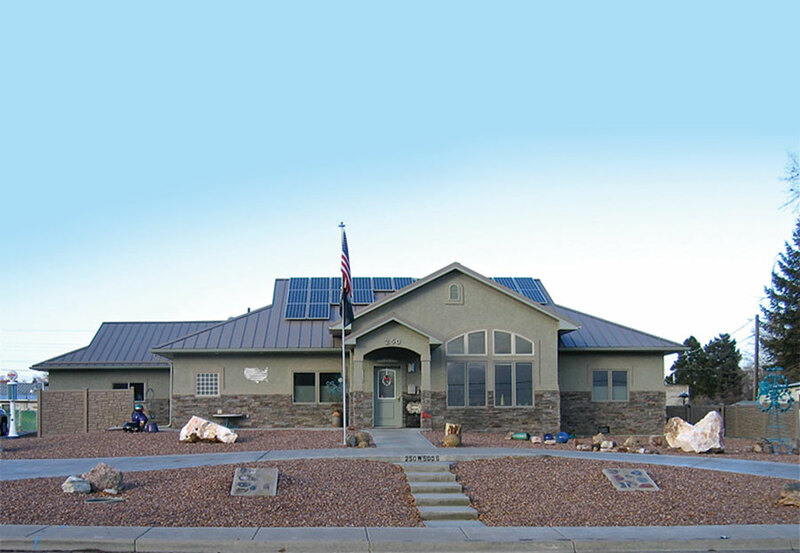 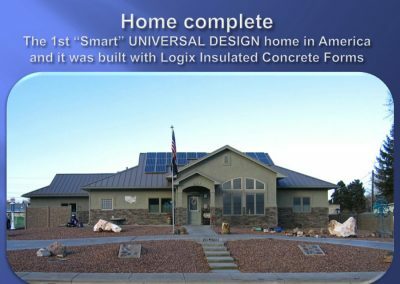 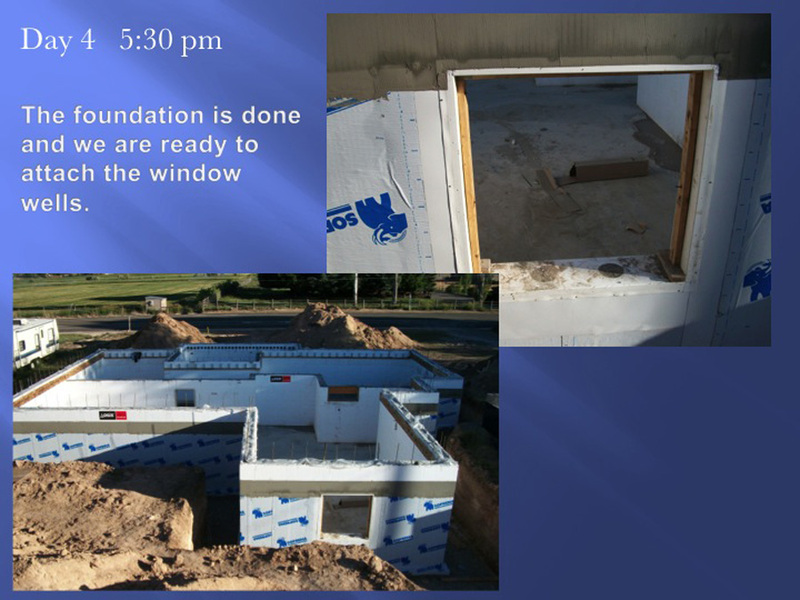 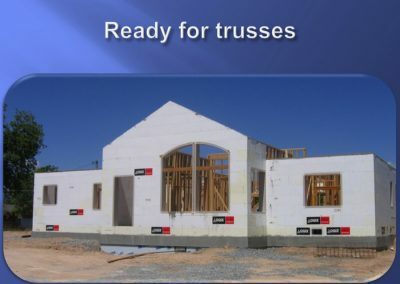 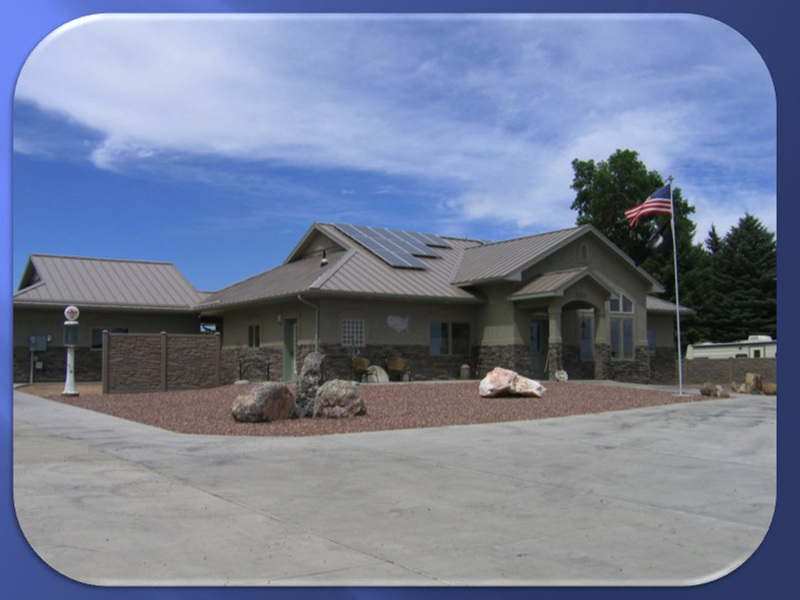 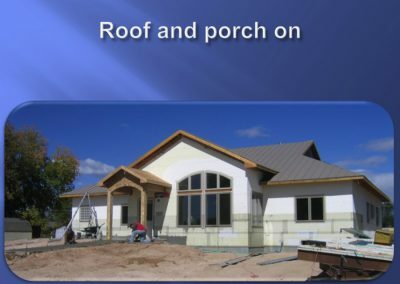 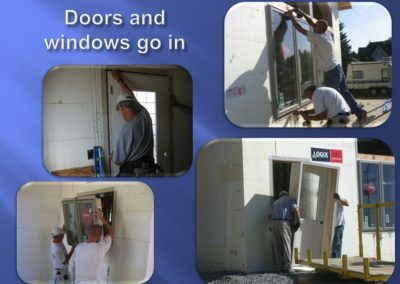 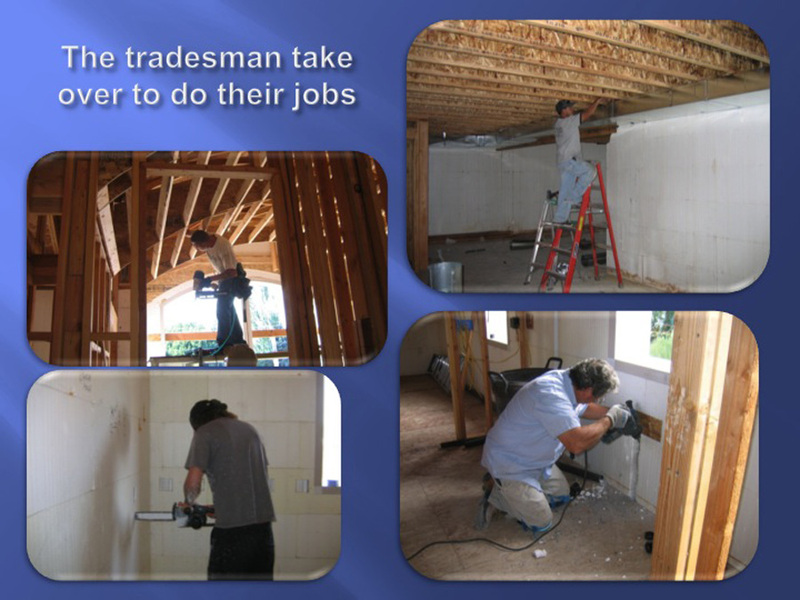 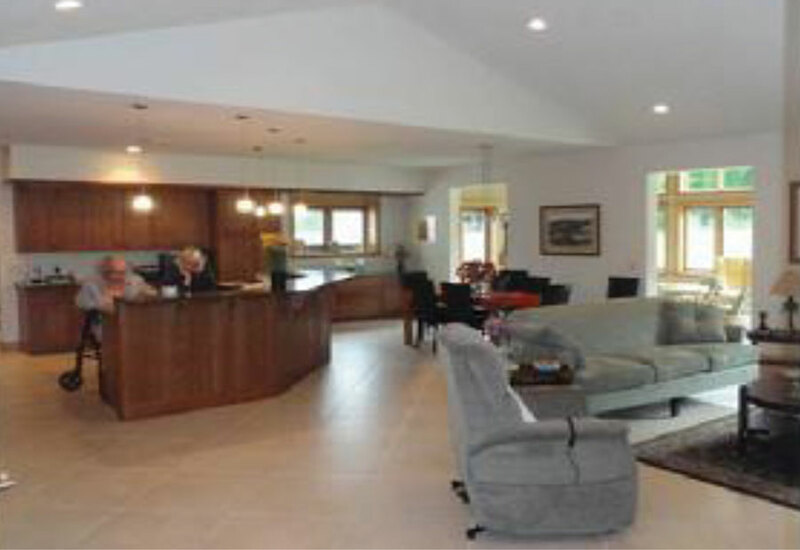 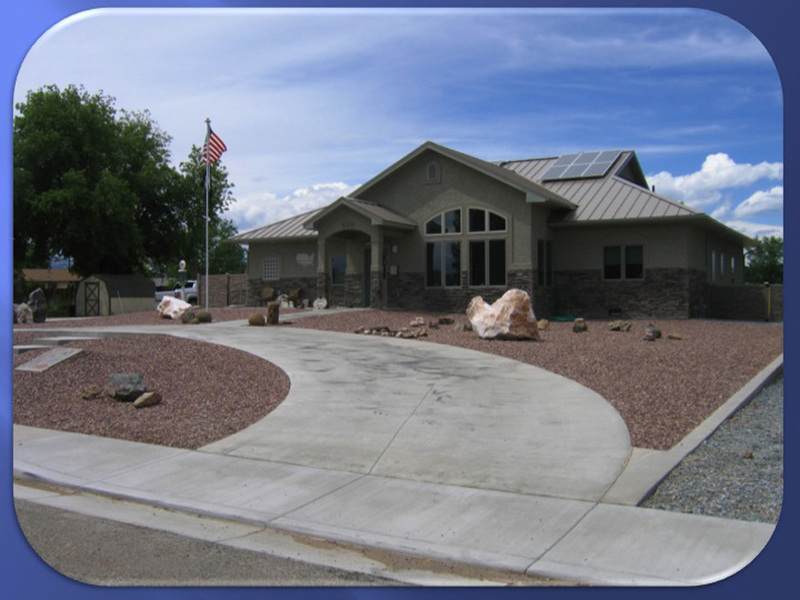 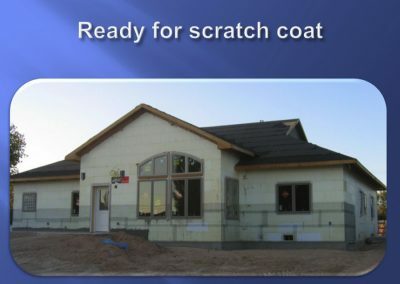 This project was built as a “Universal Design” (UD) home, merging sustainable, green building technology with design concepts that allow people of all ages and abilities to live their entire life in their own home. 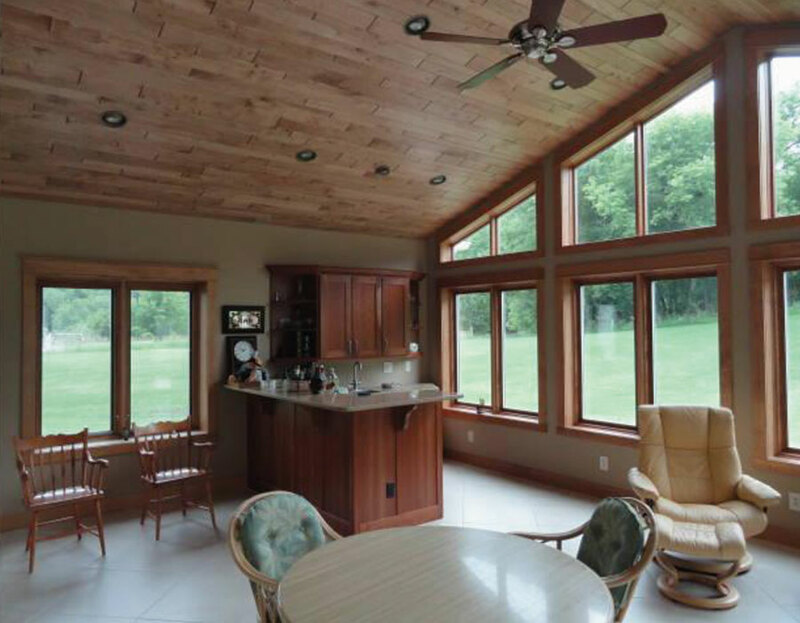 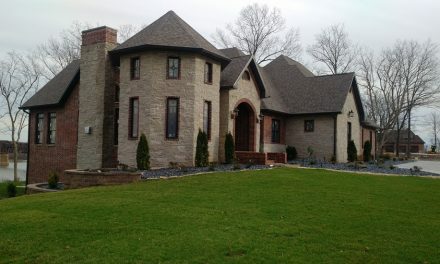 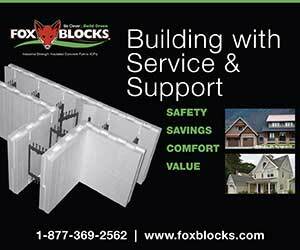 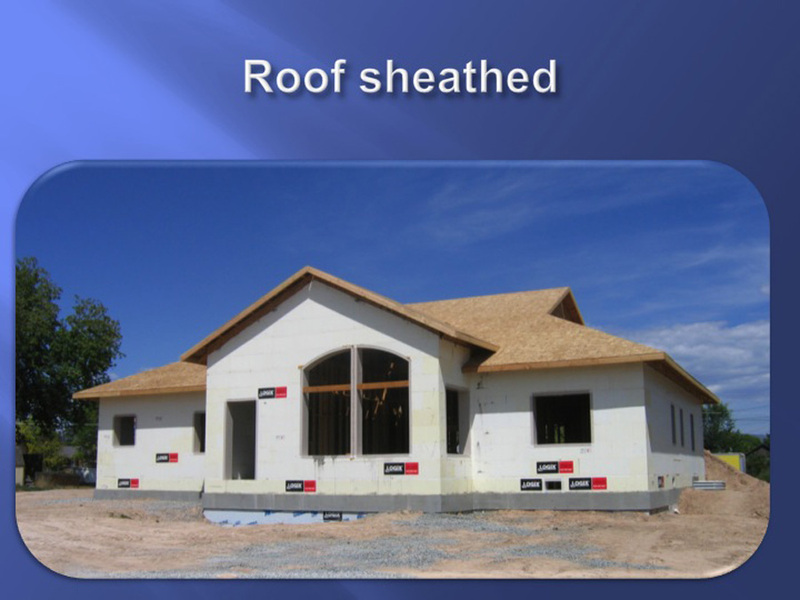 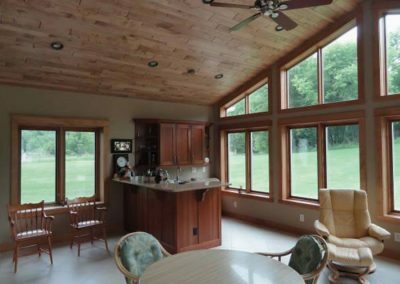 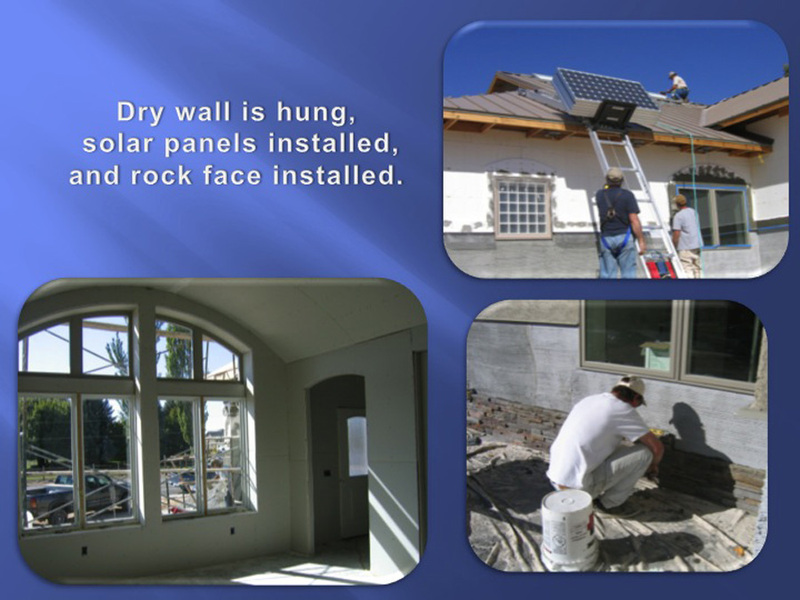 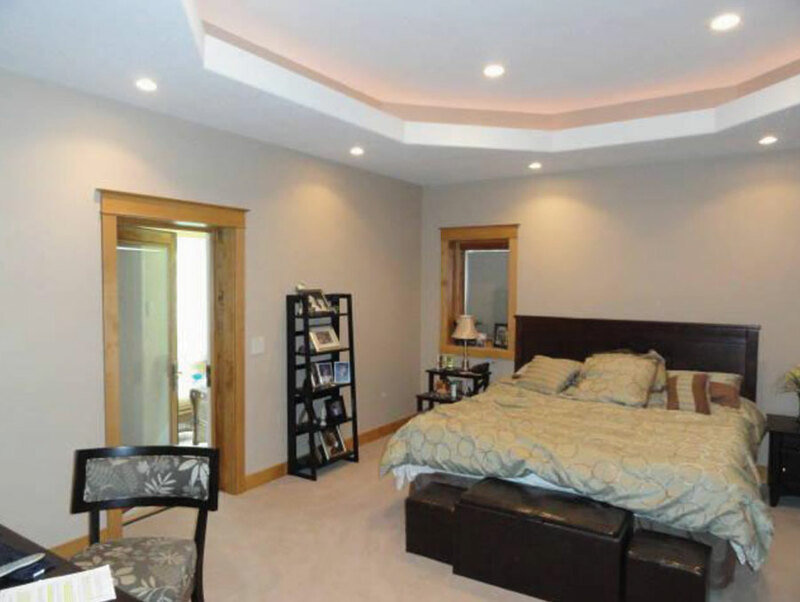 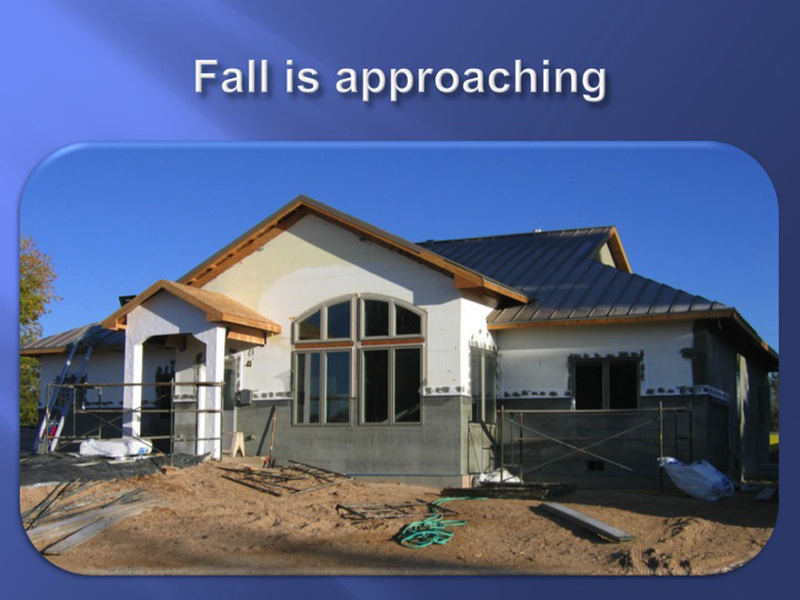 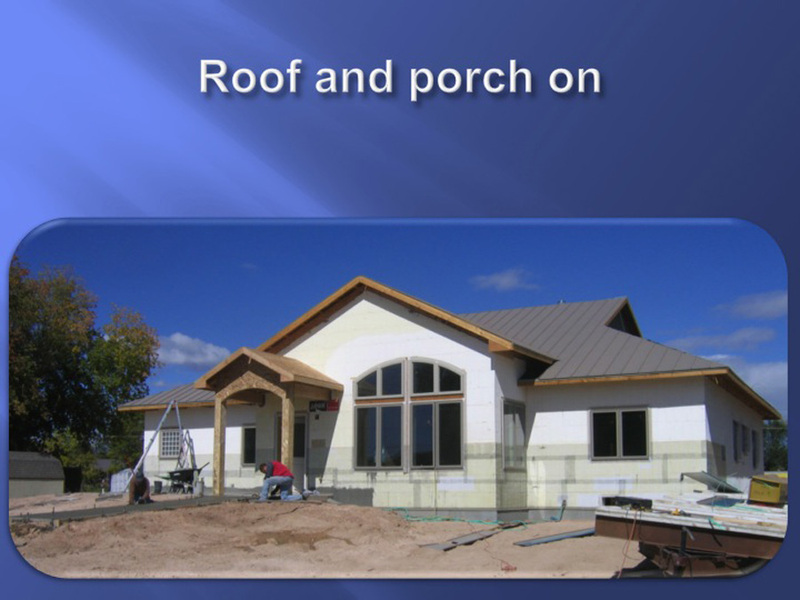 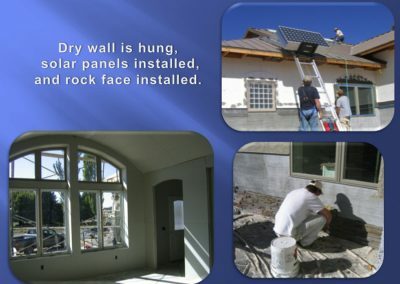 In addition to modern energy saving features, it also utilizes automation and low-maintenance finishes. 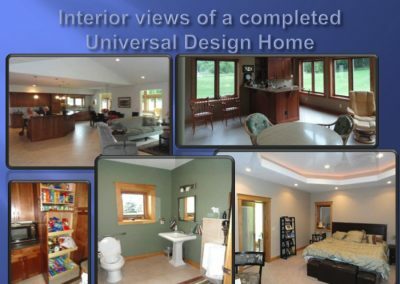 UD also pays attention to layout and dimensions, incorporating well-known accessibility features such as wide doors, lowered sinks, non-skid flooring, etc. 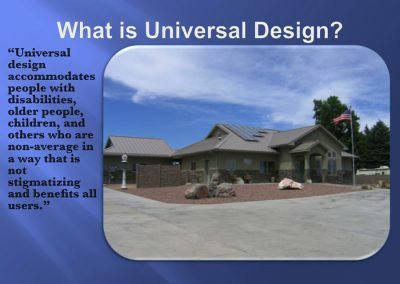 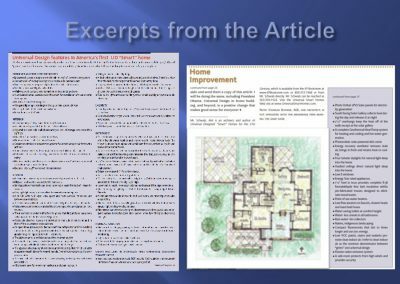 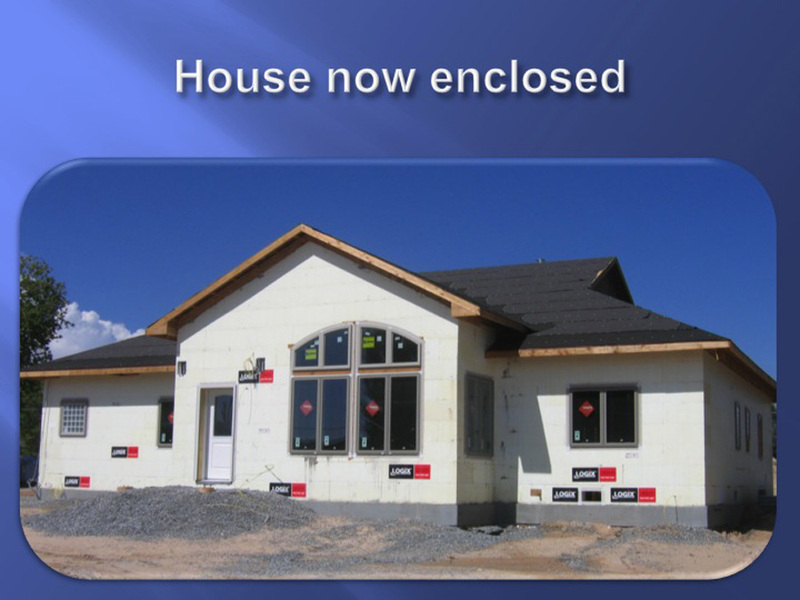 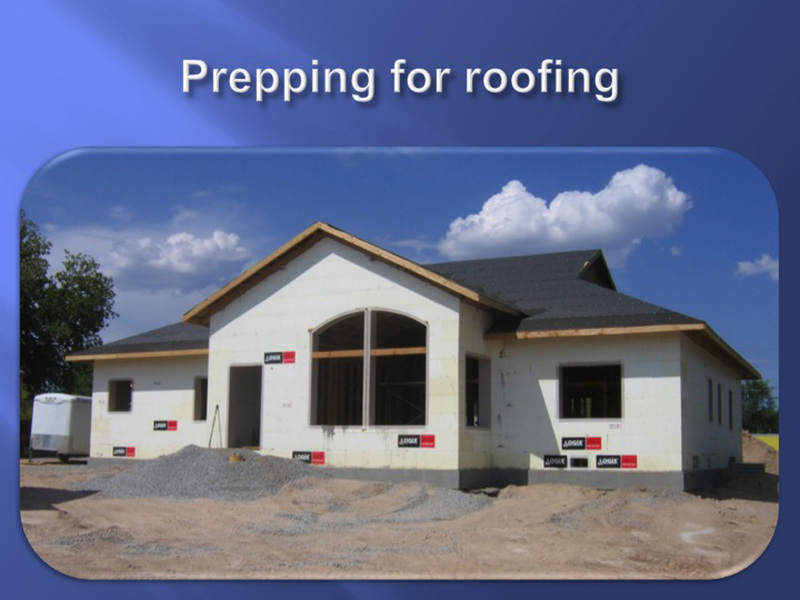 Proponents claim the concept will save both the homeowner and the government tens of thousands of dollars by allowing the retired and the handicapped population to live independently in their home environment instead of retirement homes, assisted living centers and institutions. The long term healthcare savings may be as high as $100,000 per person per year. 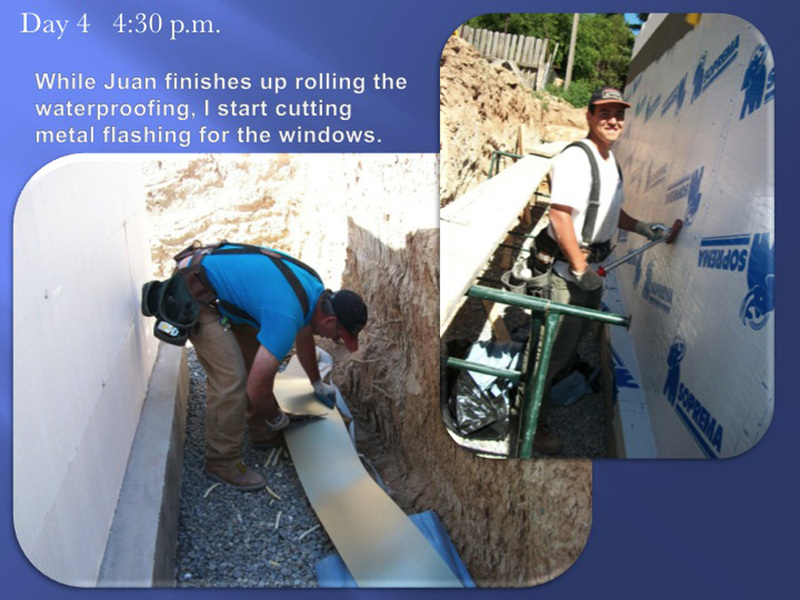 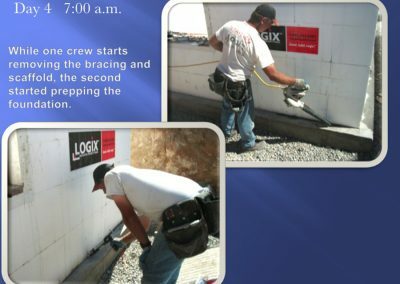 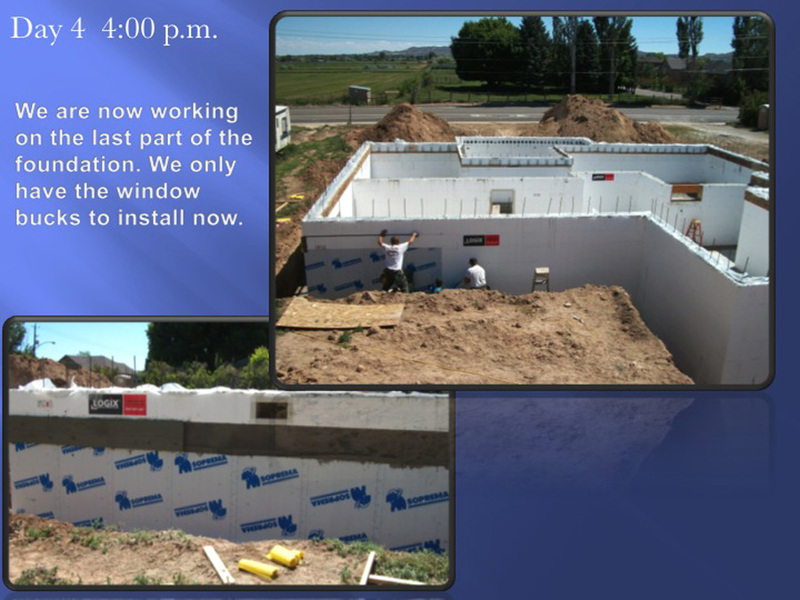 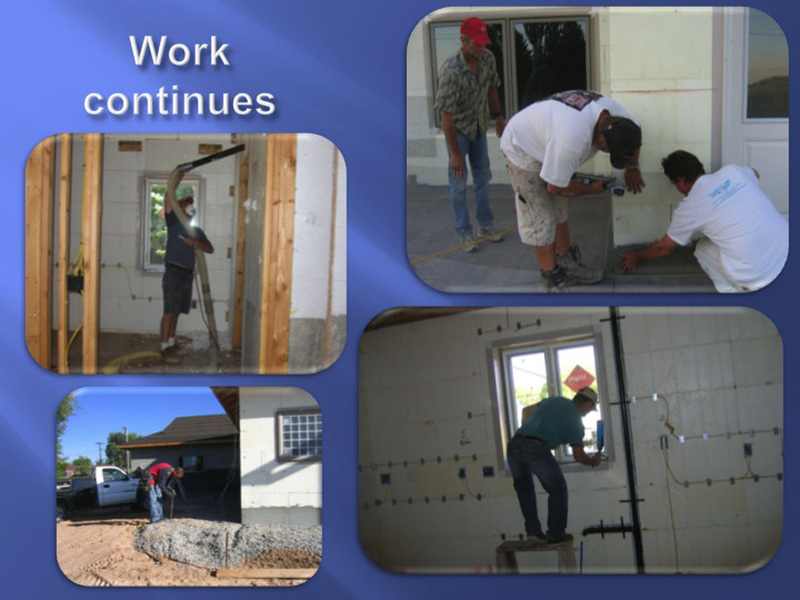 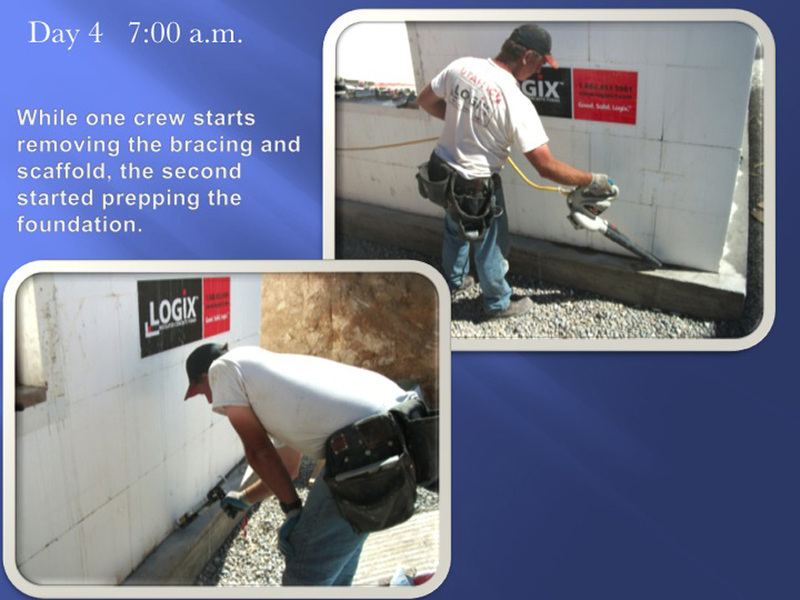 Scheduling was also tight, as his crew had a full slate of jobs going on in Salt Lake as well. 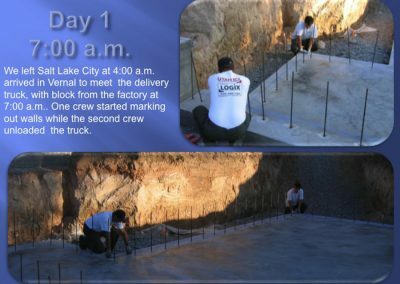 With an urgent project in Salt Lake scheduled to start on Friday, they’d have to complete the entire project in only four days. 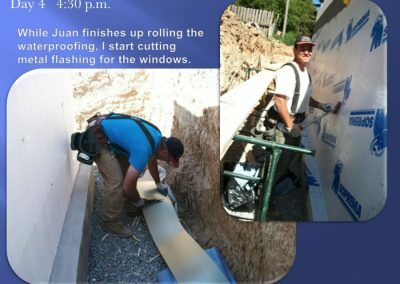 “We had our schedule down to 30-minute intervals,” he says. 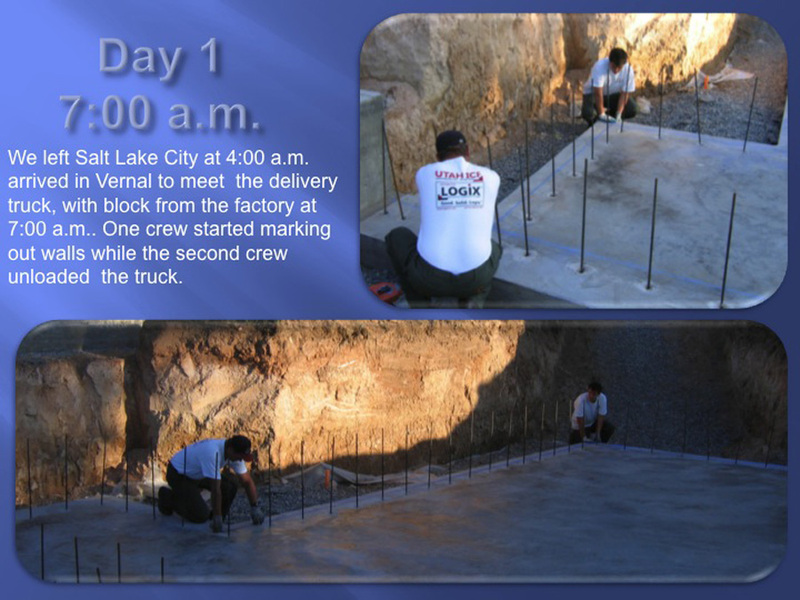 A two-day lead time for both the ready mix plant and the pump truck meant the schedule couldn’t shift. 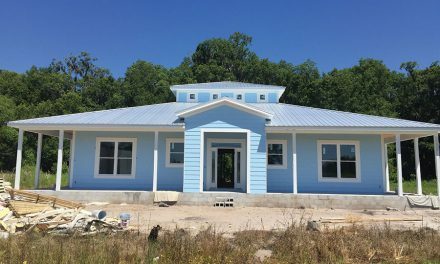 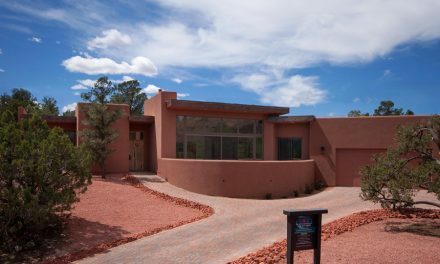 The home has energy-saving appliances and fixtures, as well as disability-conscious features such as wide doors, lowered sinks, and non-skid flooring, yet feels and functions like any other high-end custom home. 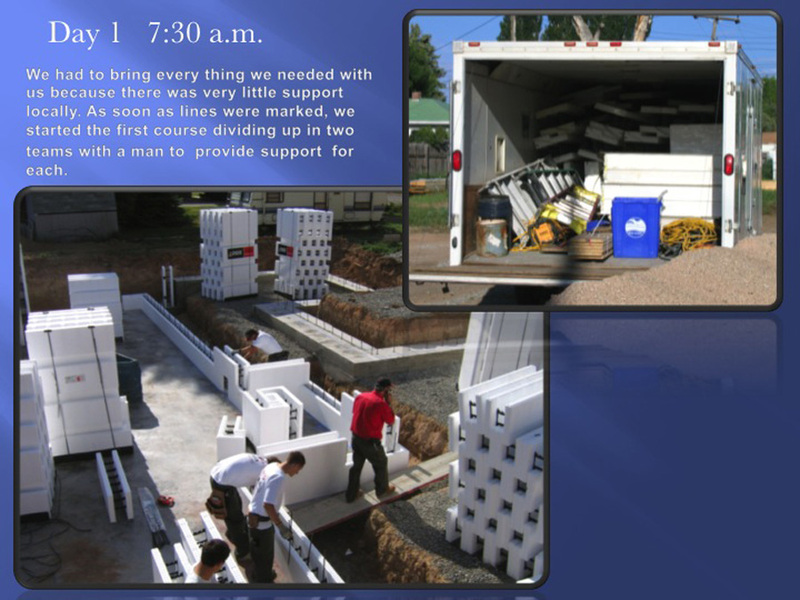 Fortunately, McCullough and his crew of professionals were up to the daunting task. 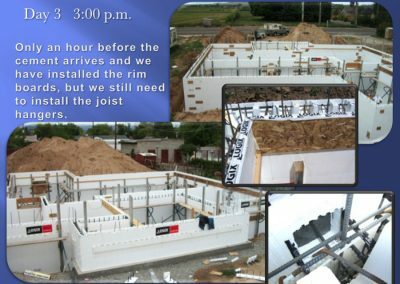 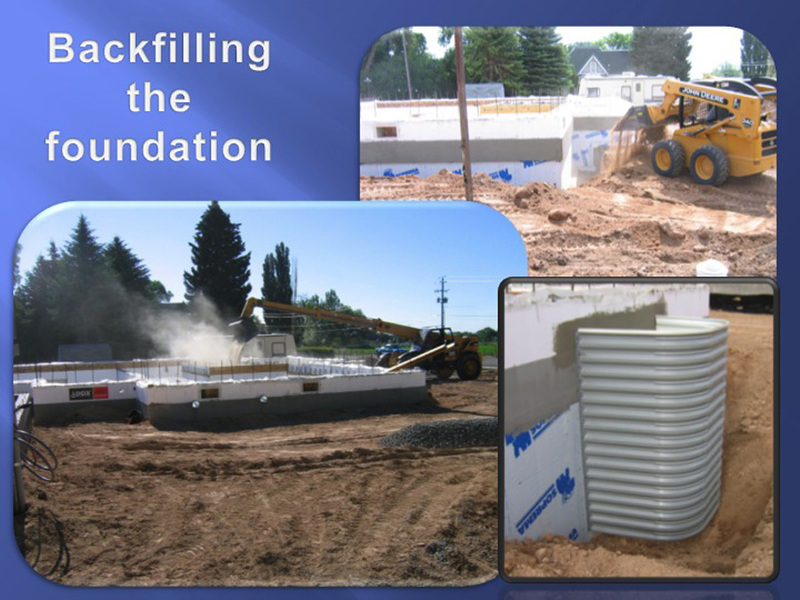 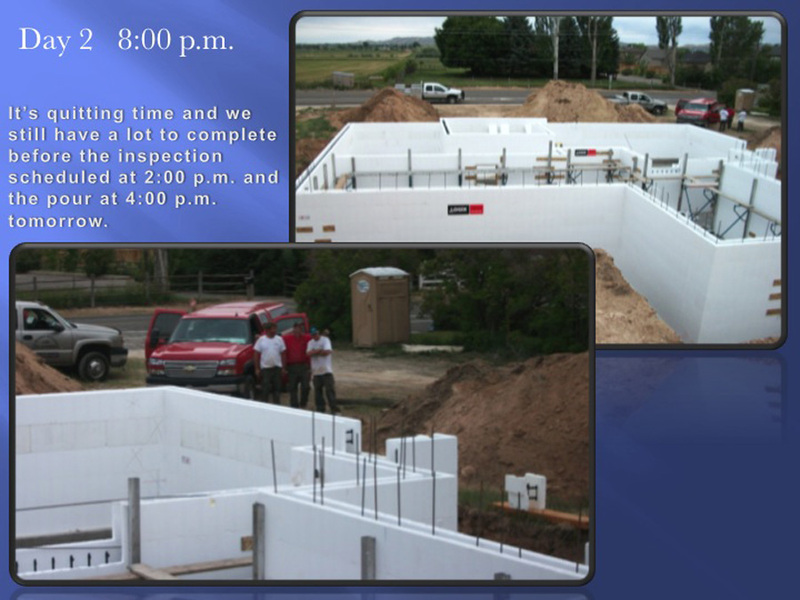 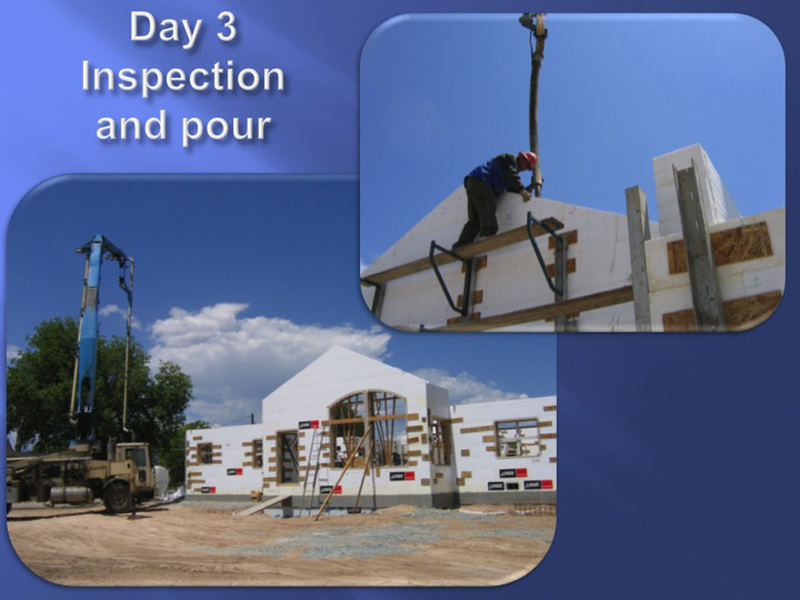 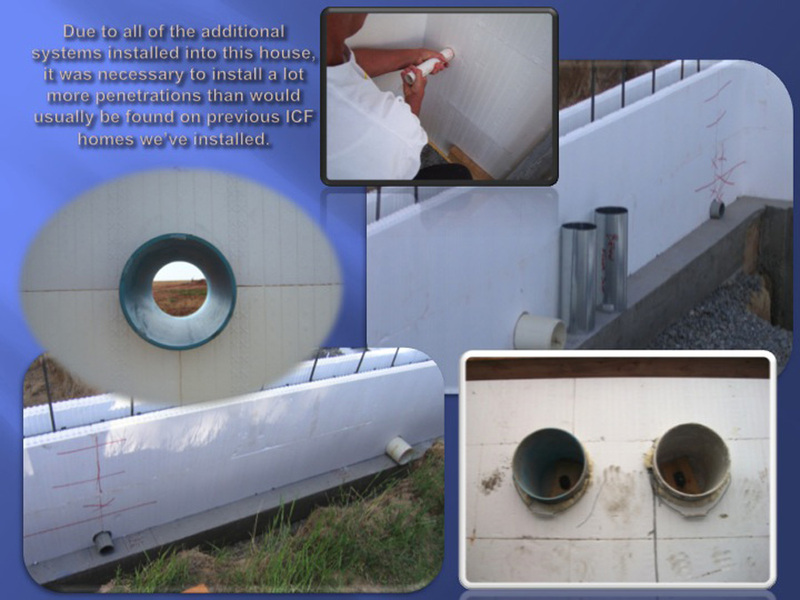 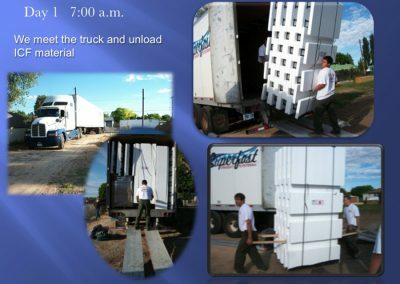 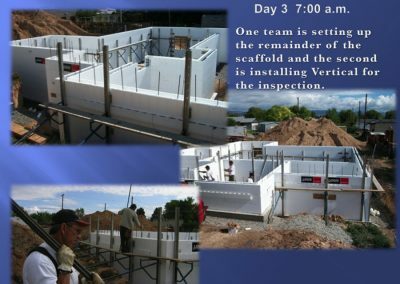 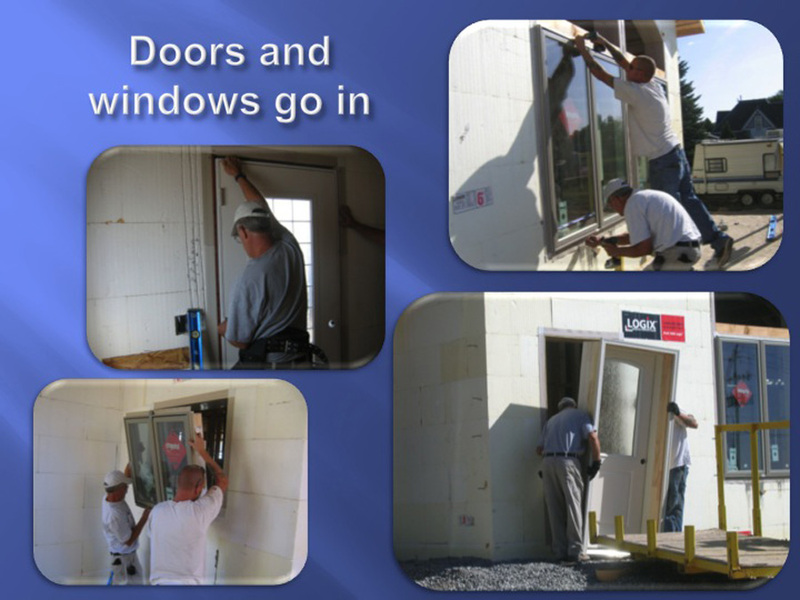 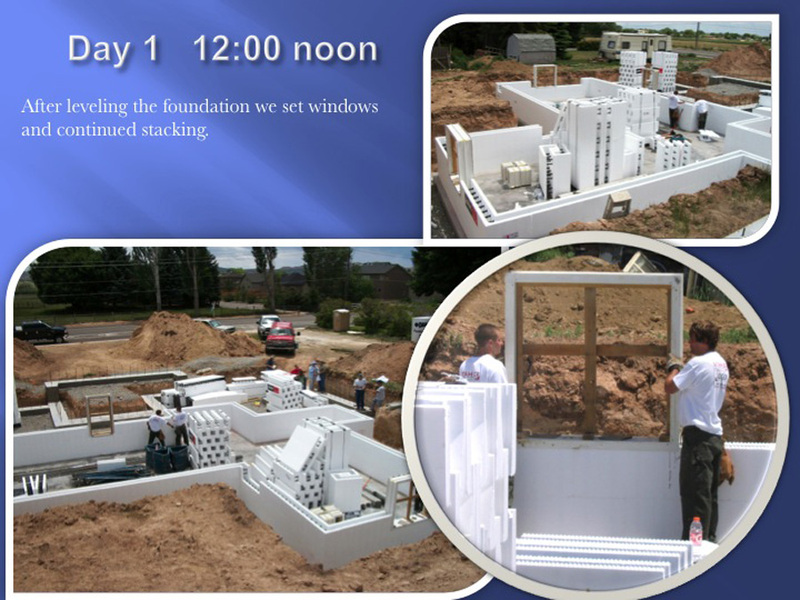 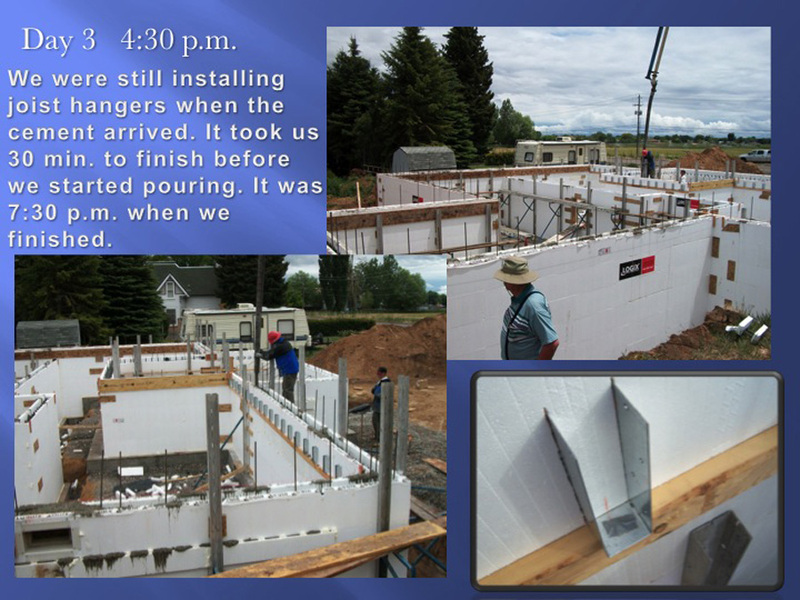 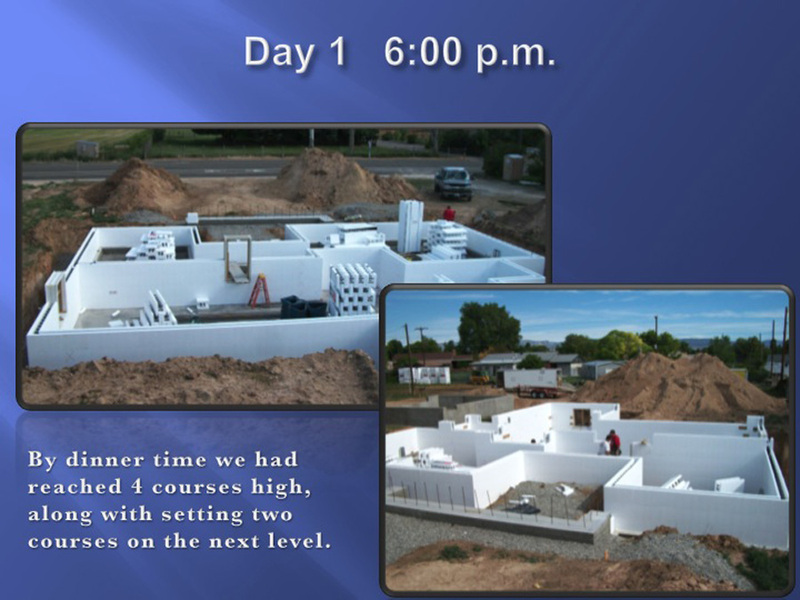 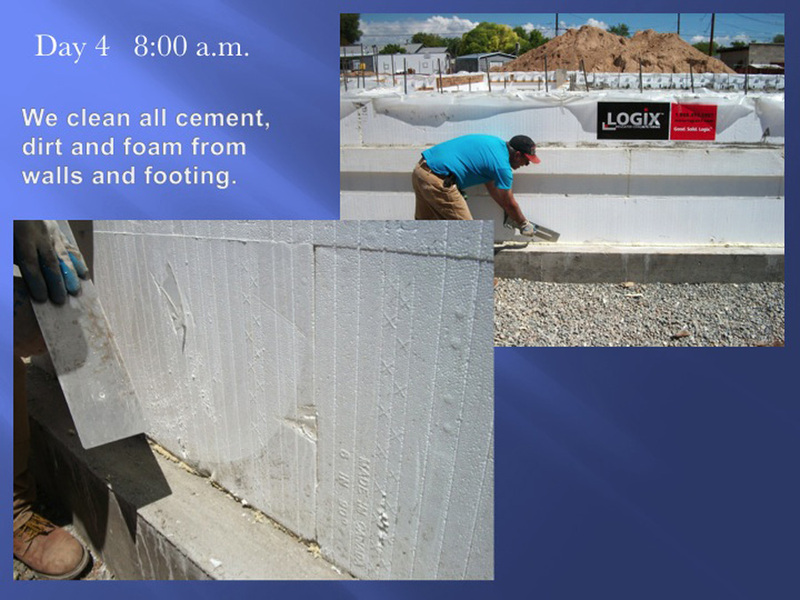 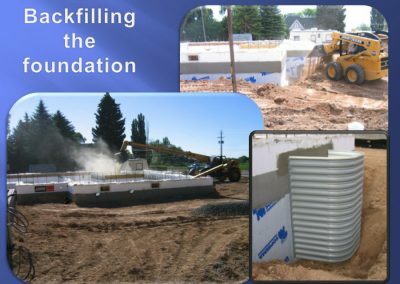 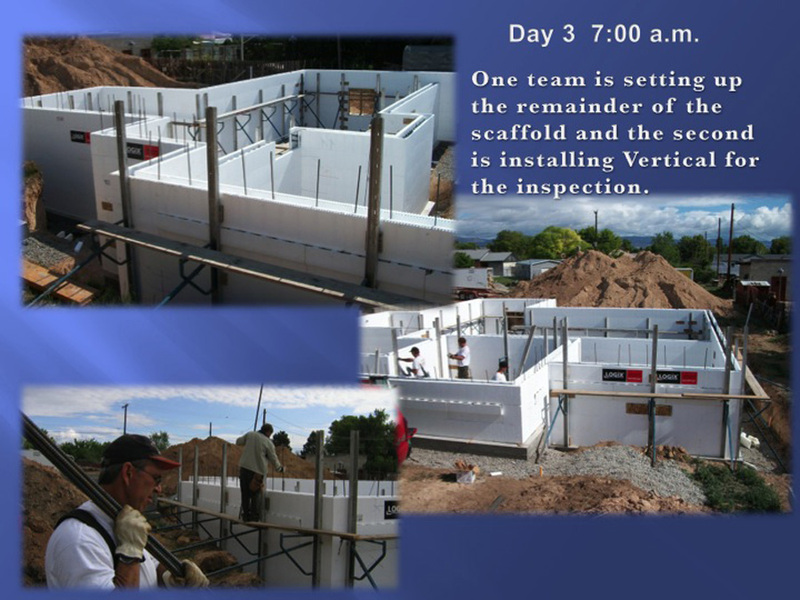 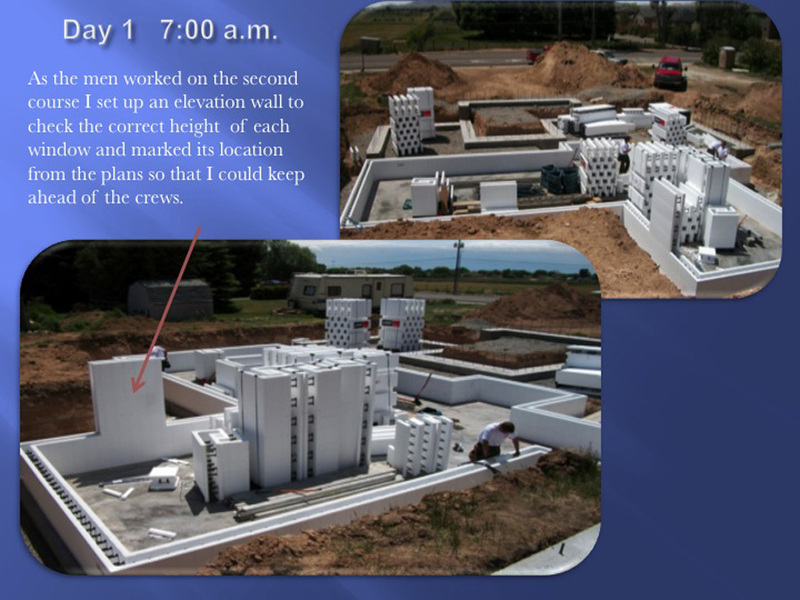 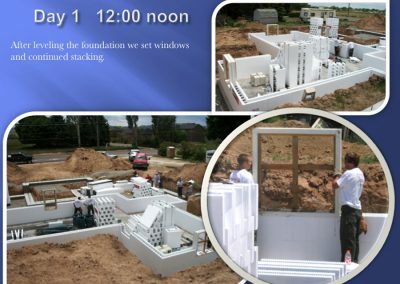 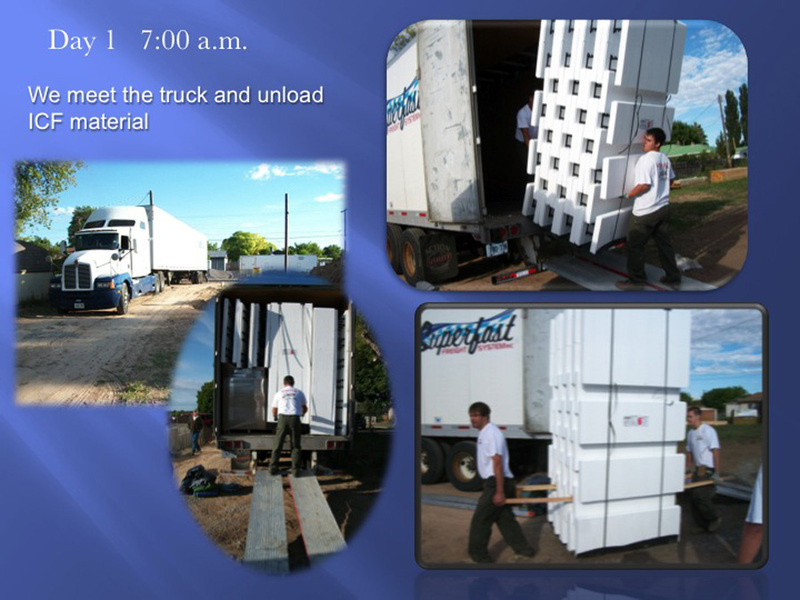 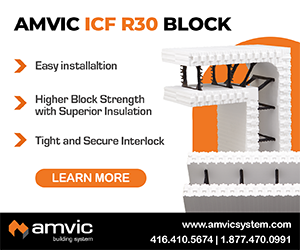 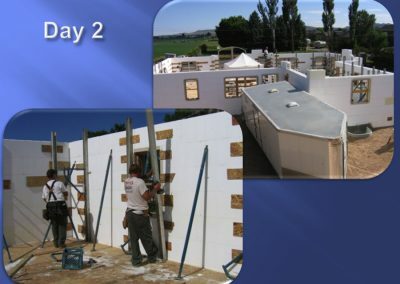 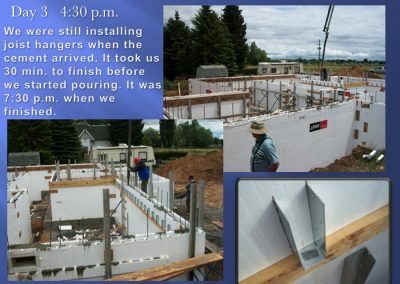 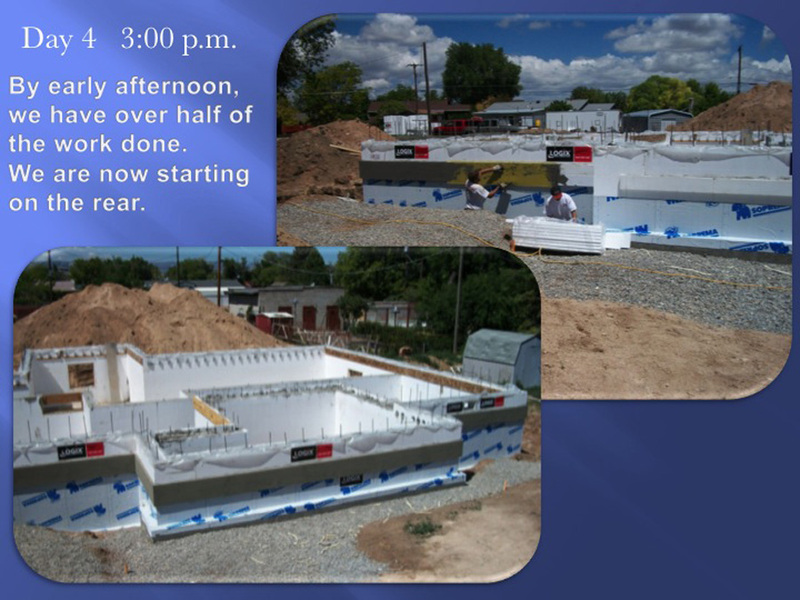 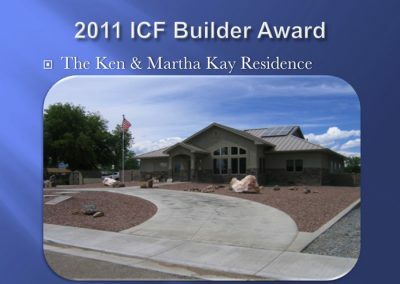 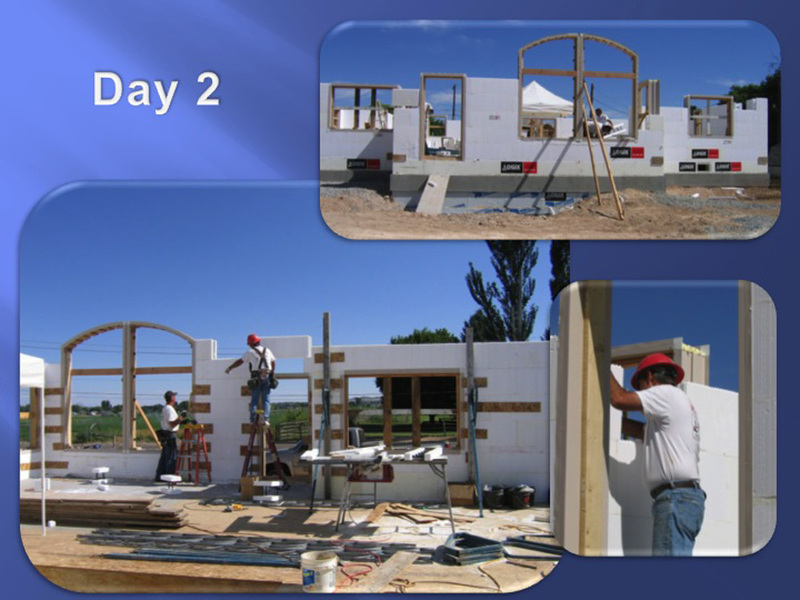 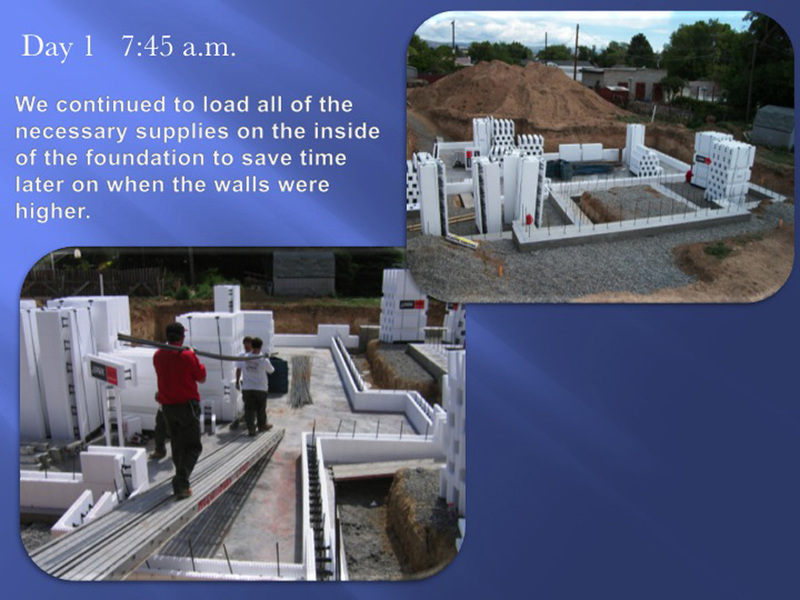 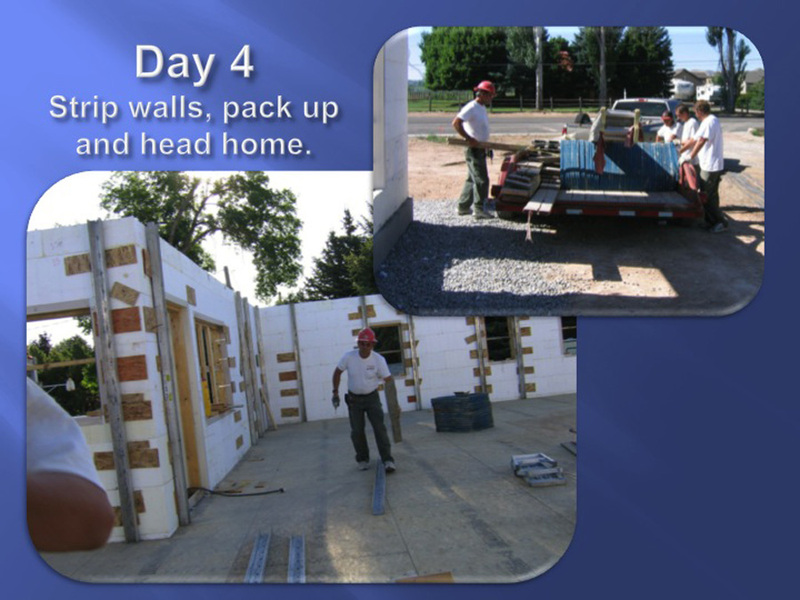 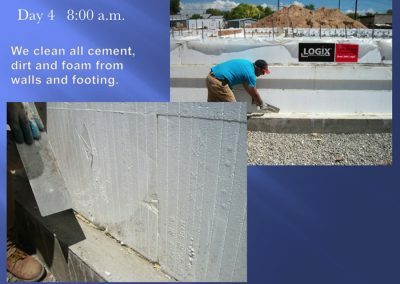 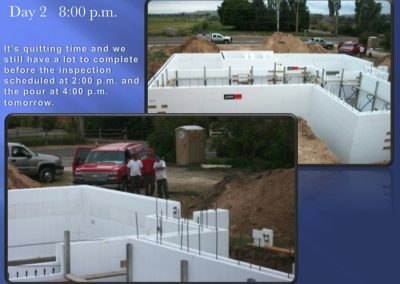 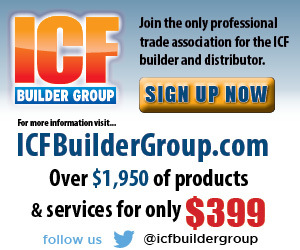 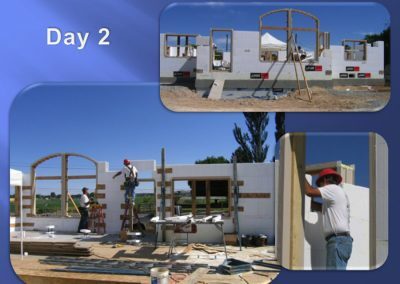 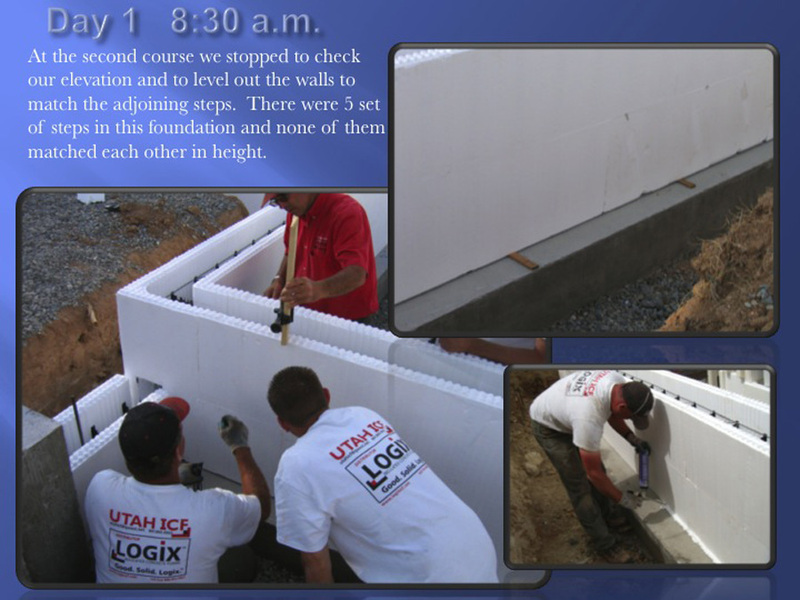 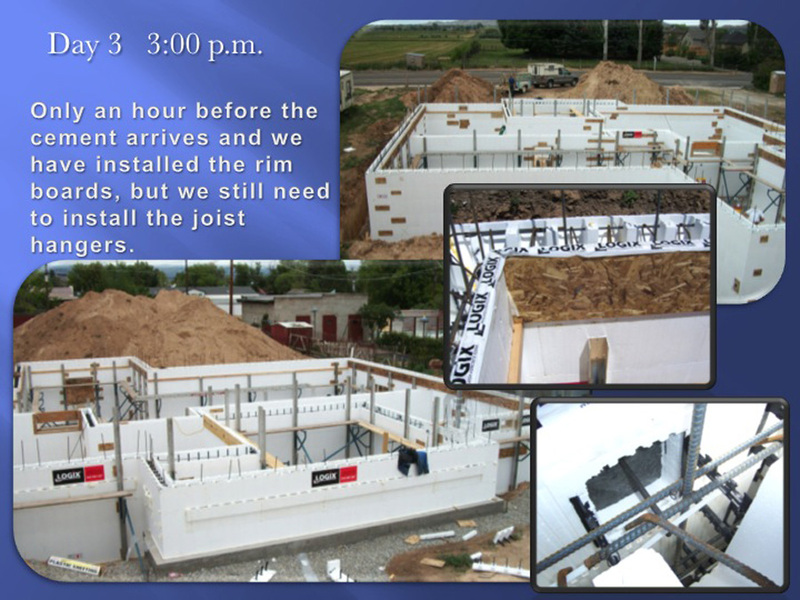 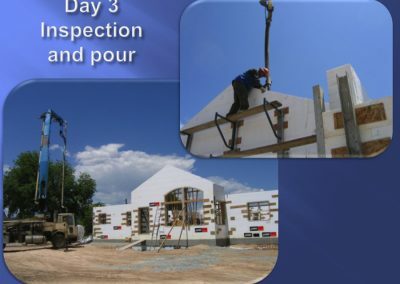 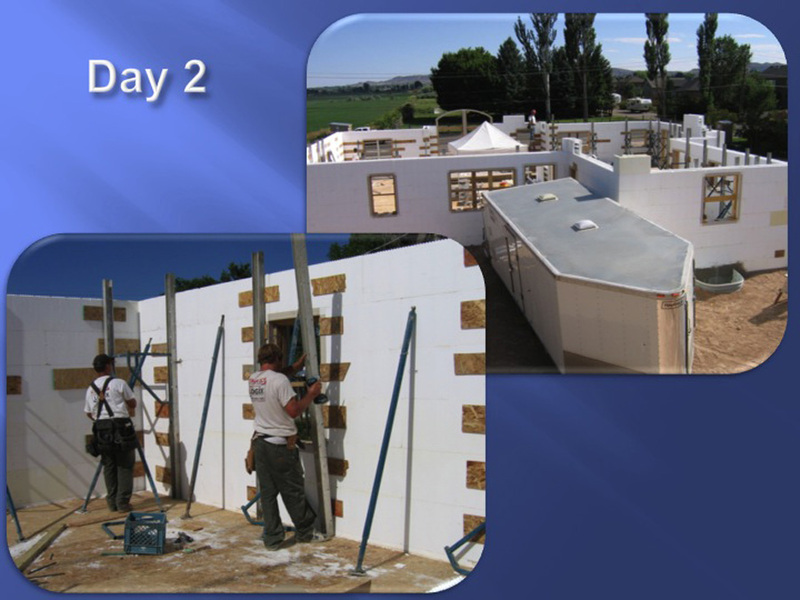 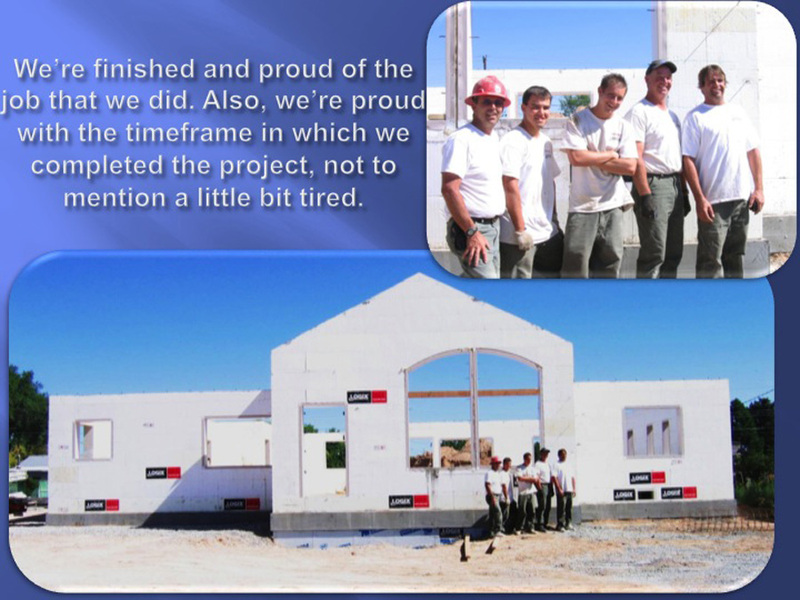 They arrived at the jobsite early Monday morning, having met the truck delivering the ICF at the outskirts of town, and got right to work. 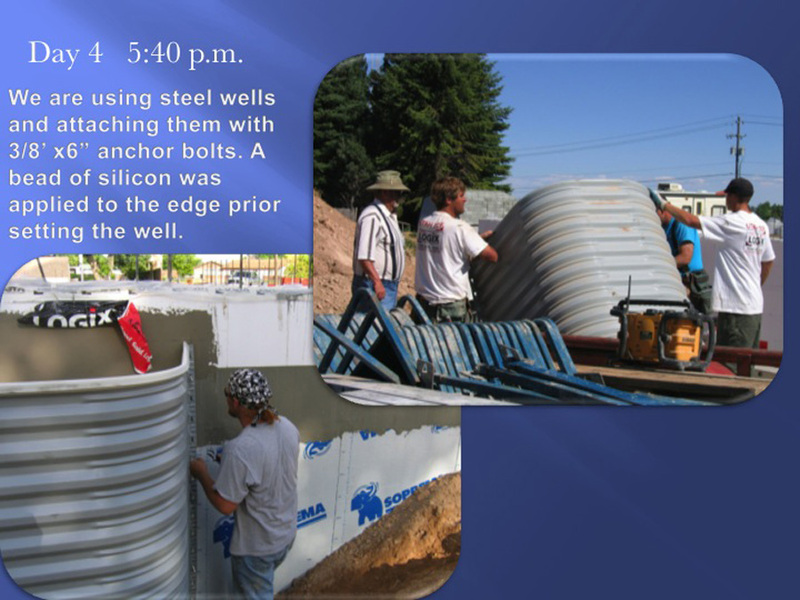 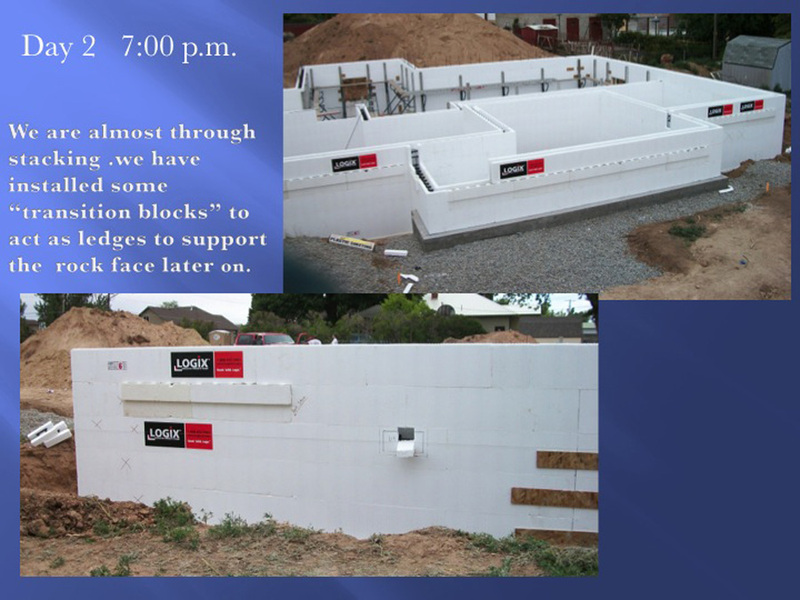 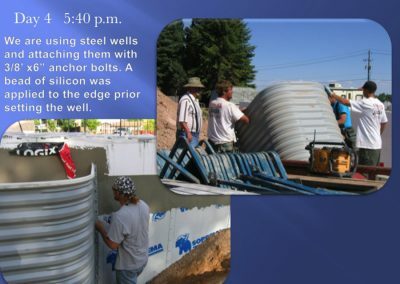 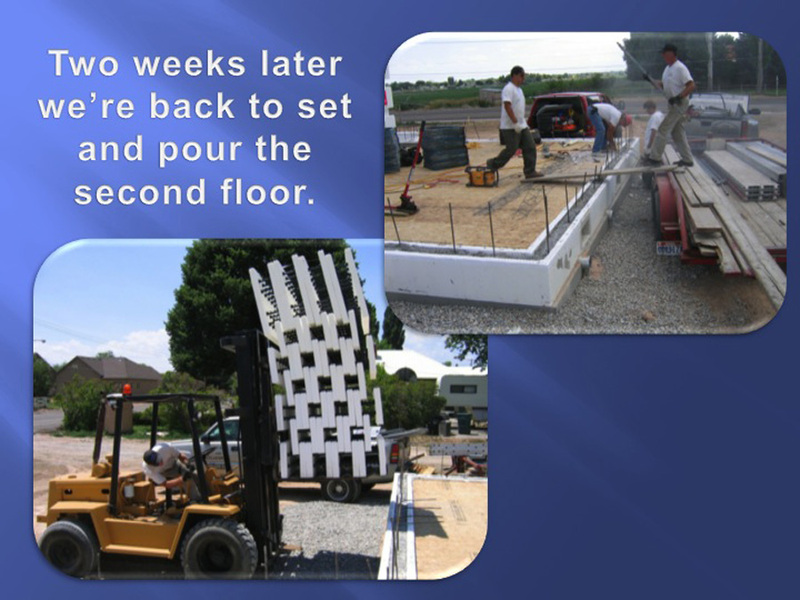 By Tuesday evening, the basement walls were stacked and braced, and by the time the inspector arrived late Wednesday morning, the rebar was in place as well. 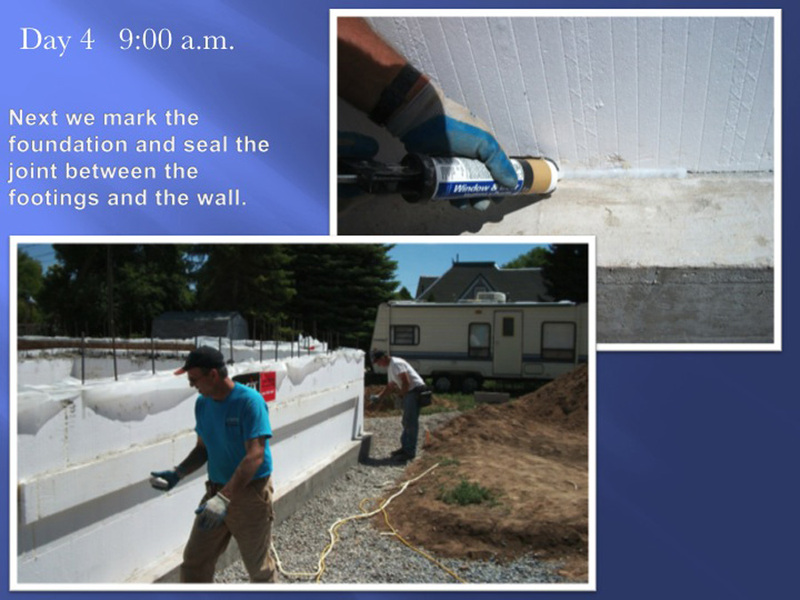 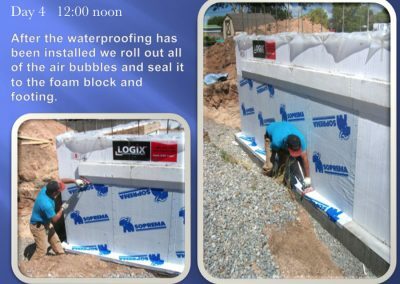 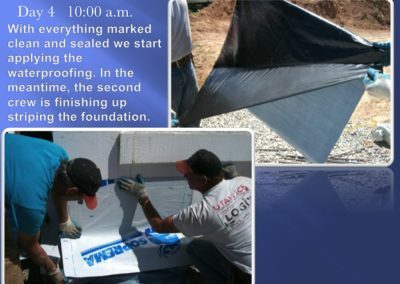 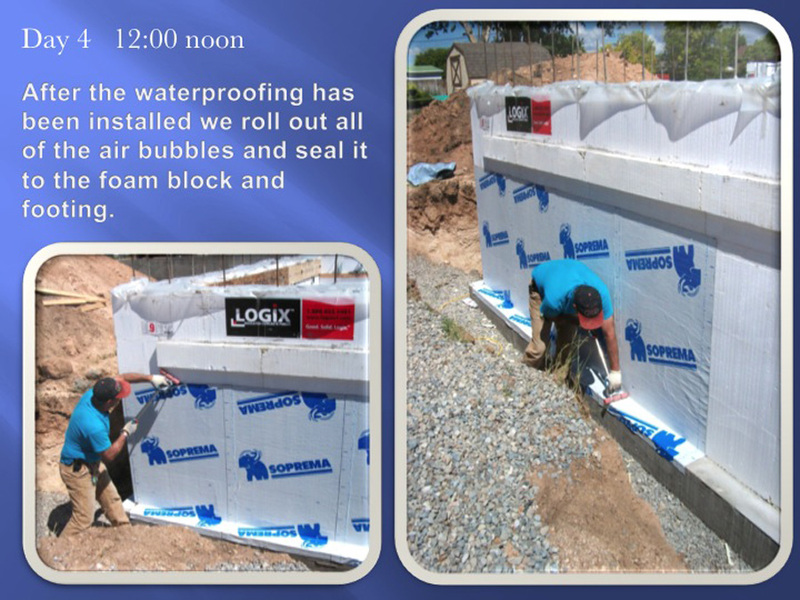 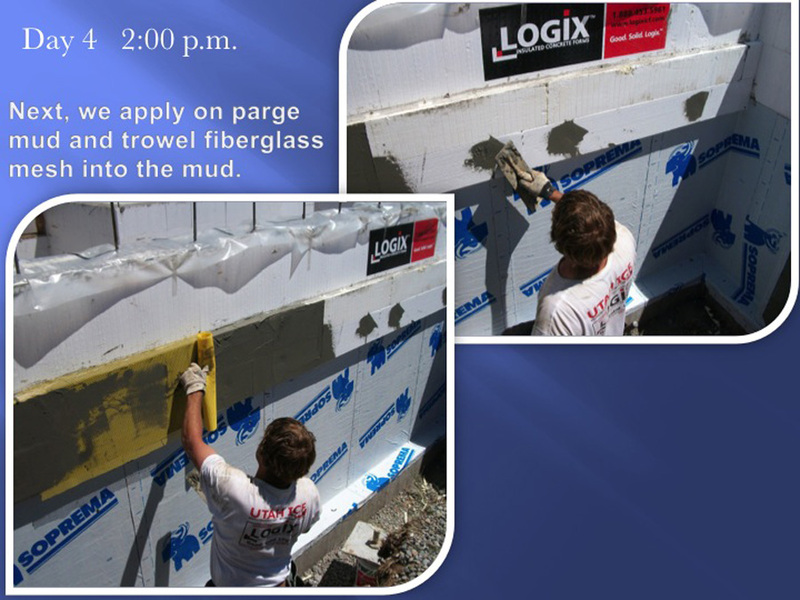 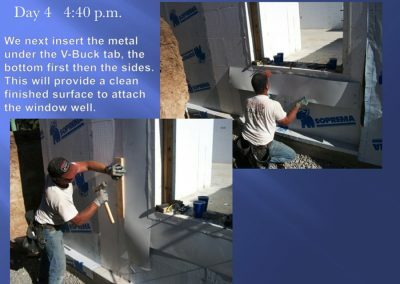 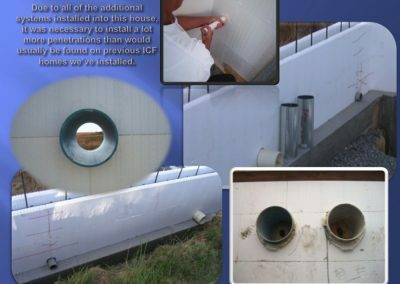 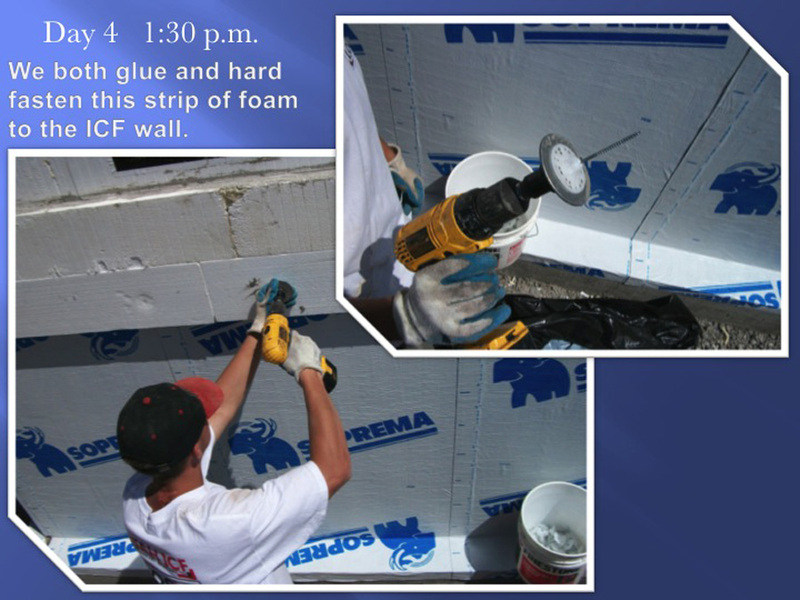 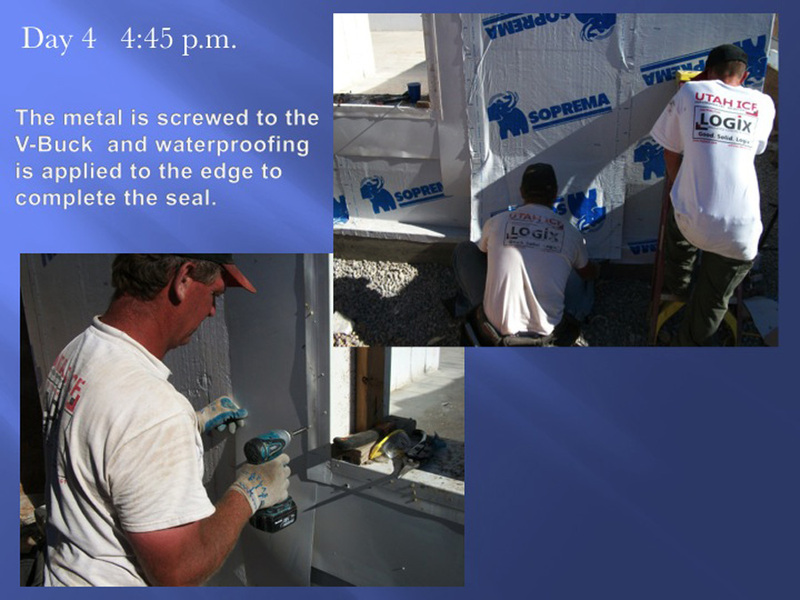 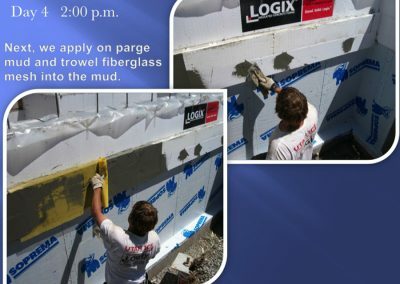 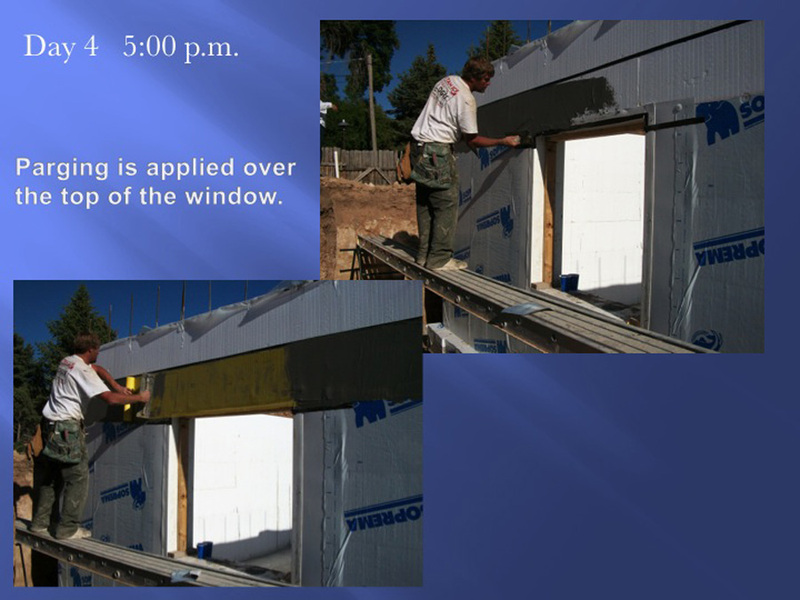 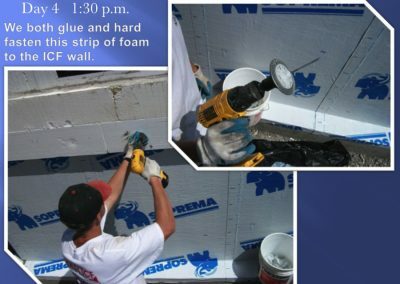 That afternoon, they pumped, and Thursday they stripped the bracing and applied the waterproofing, a peel-and-stick product from Soprema called Colphene. 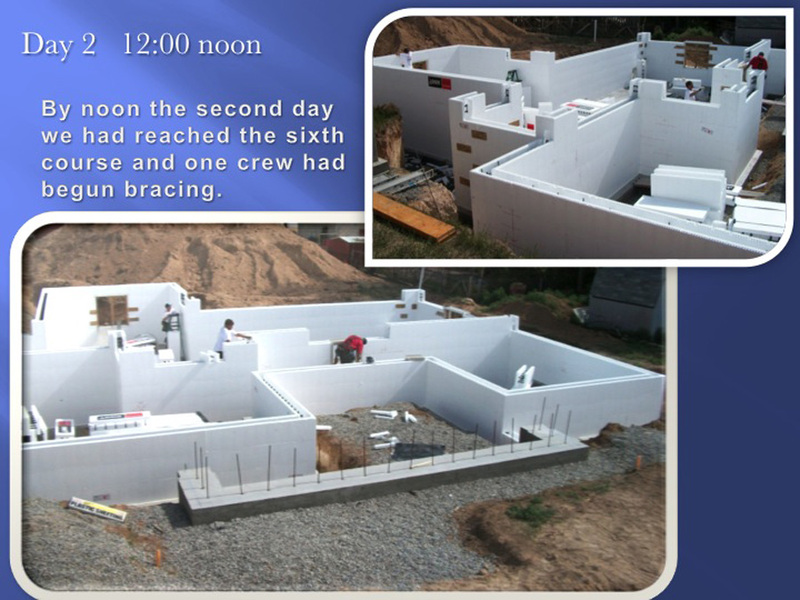 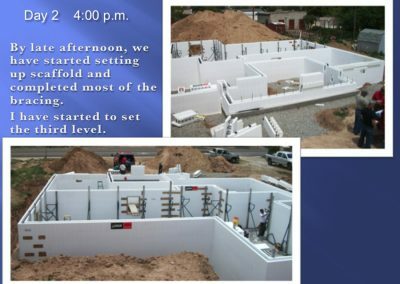 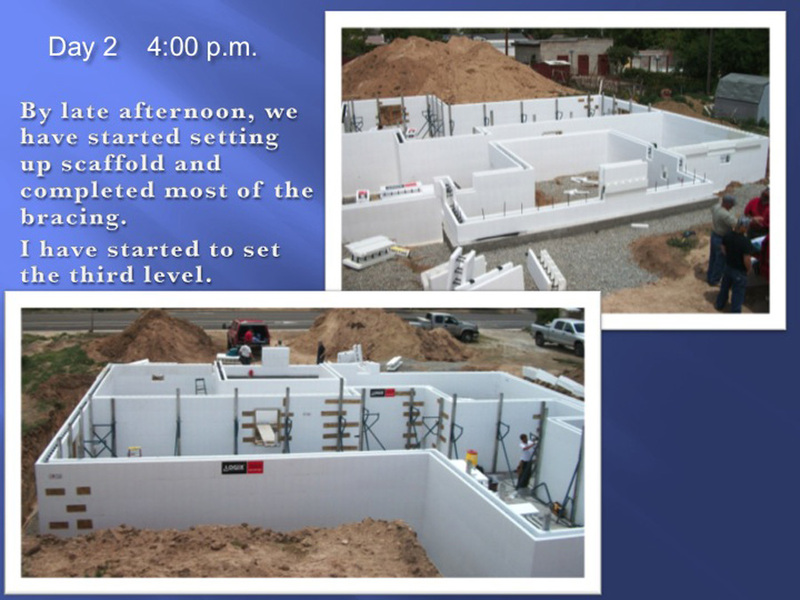 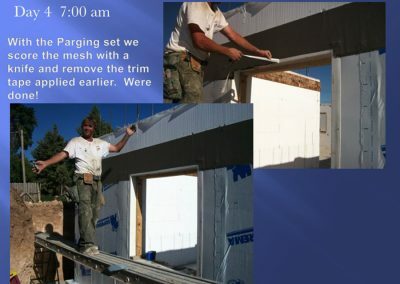 Two weeks later, they came back and stacked the main floor walls on a similar schedule. 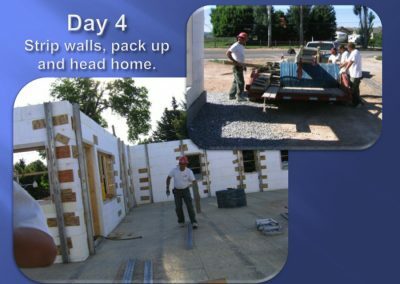 “We had logistics similar to the home makeover shows on TV, only instead of 200-plus people we had five,” he says. 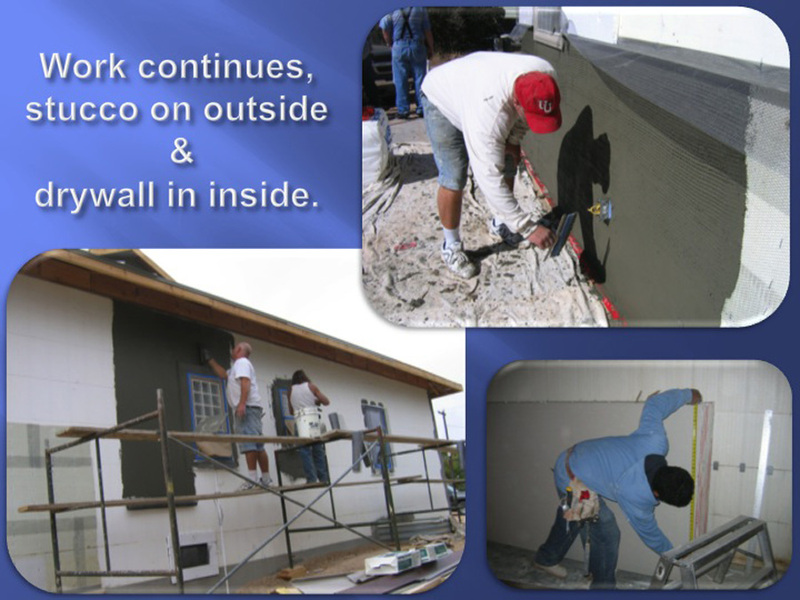 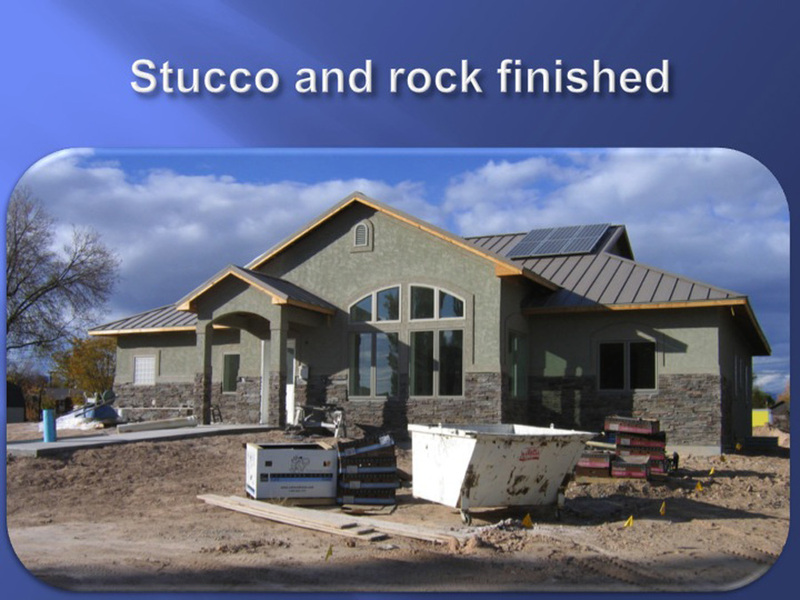 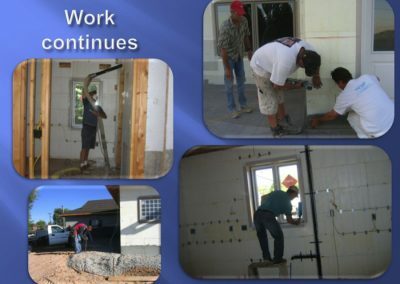 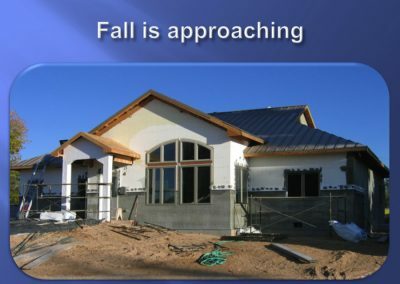 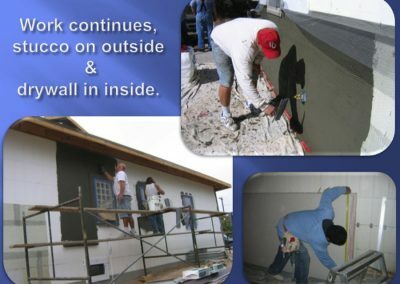 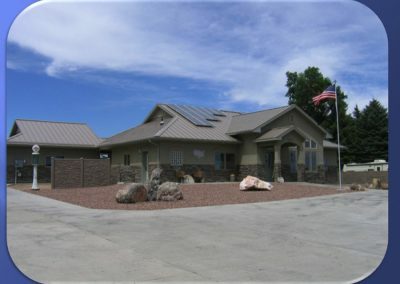 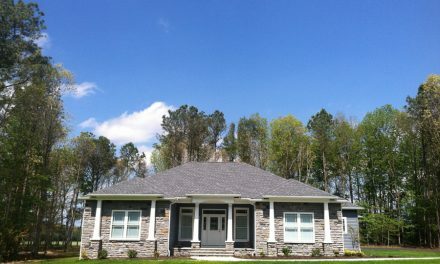 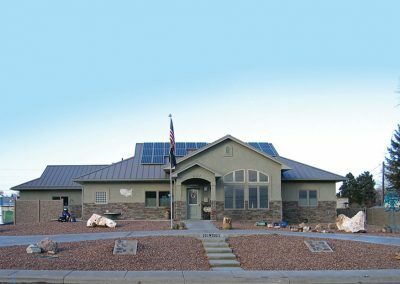 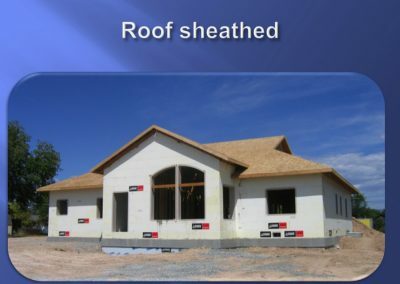 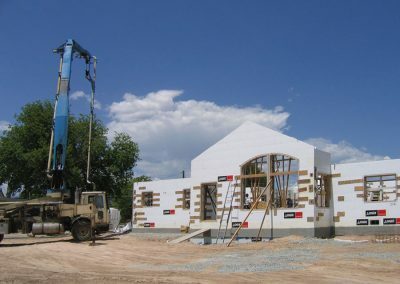 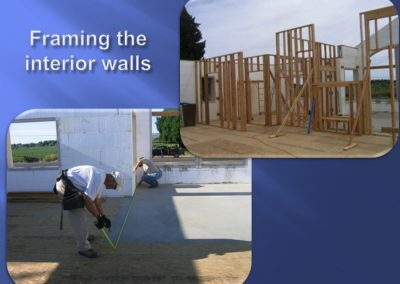 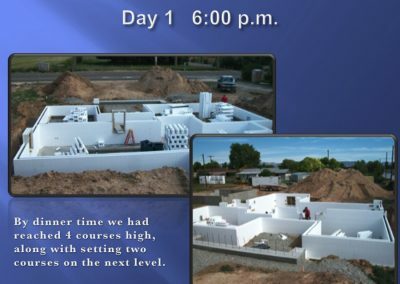 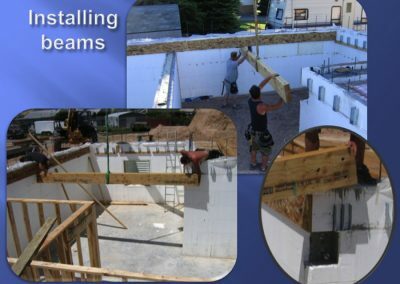 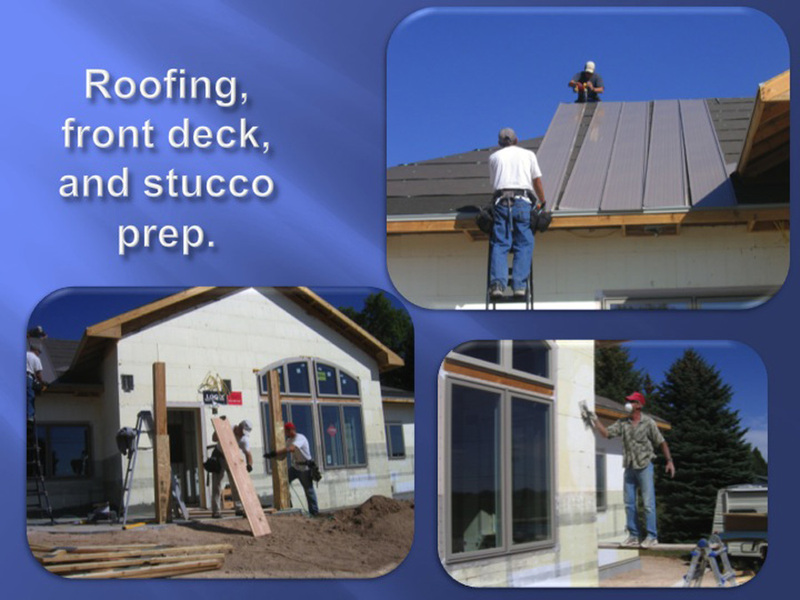 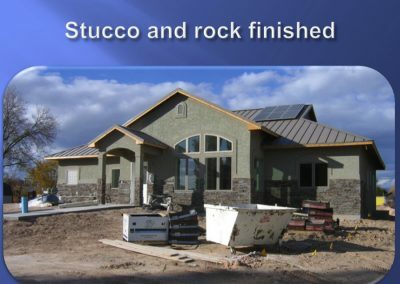 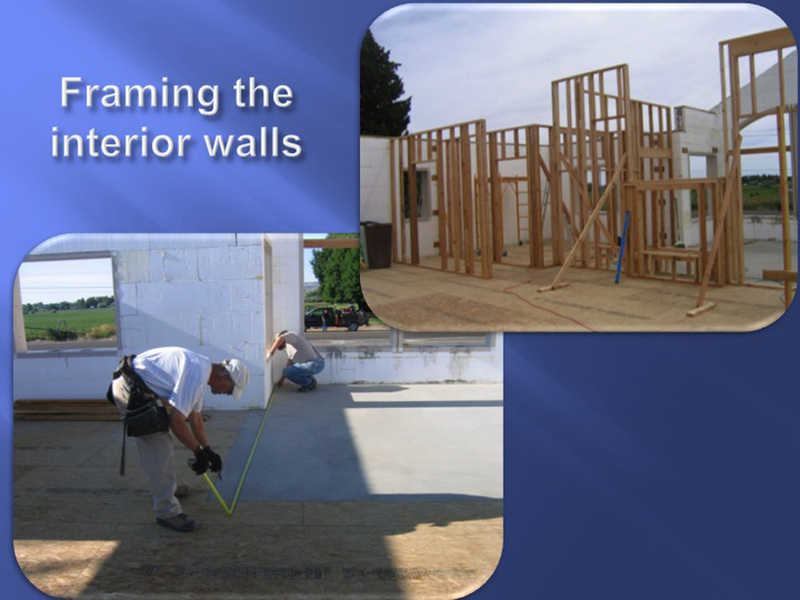 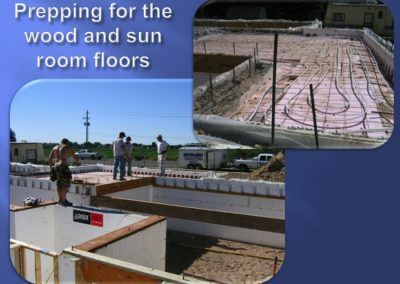 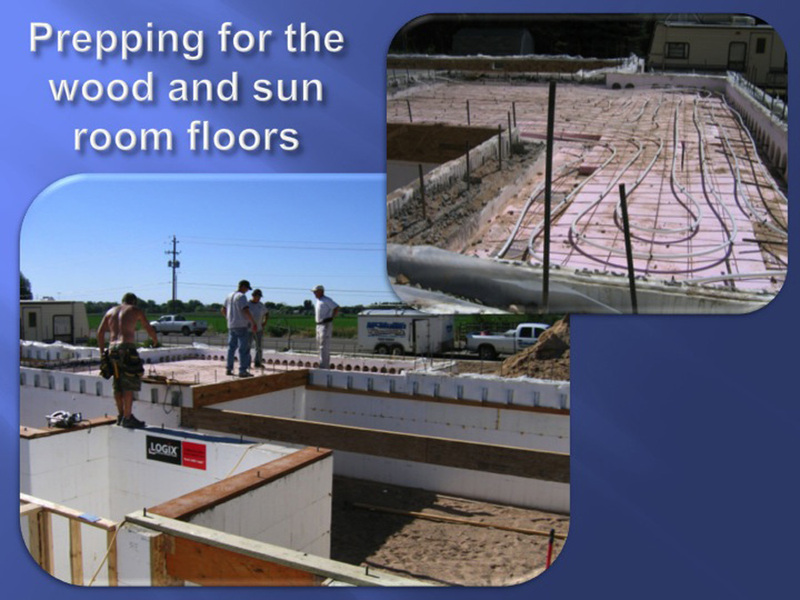 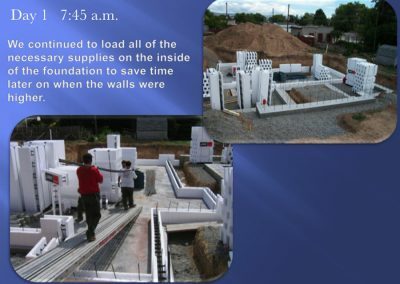 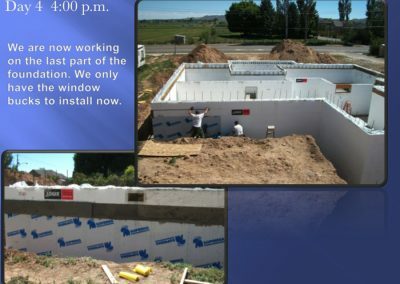 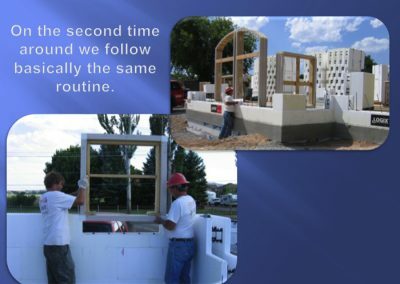 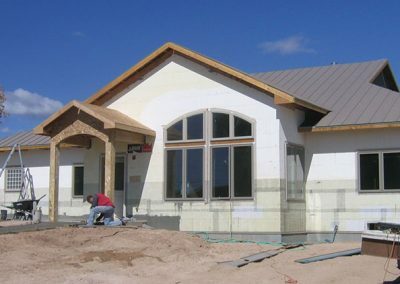 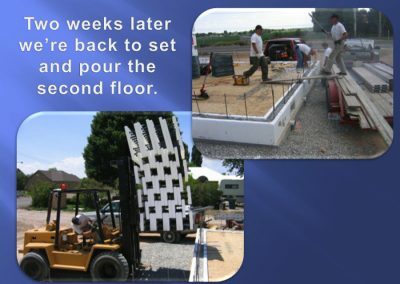 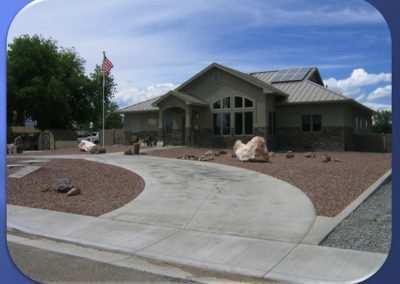 Once the walls were up, specialty contractors installed the green features that make the home so efficient, including photovoltaic solar panels for electricity generation, a complete Geothermal Heat Pump system for heating, cooling and hot water generation, and energy recovery ventilator and LED lighting. 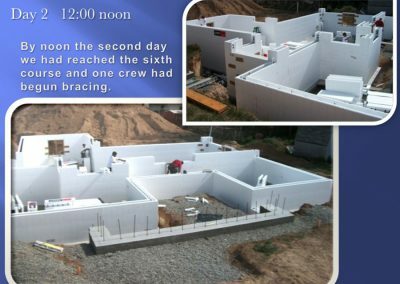 Built by a five-man crew in two four-day work sessions, the construction schedule had logistics similar to a TV home makeover show. 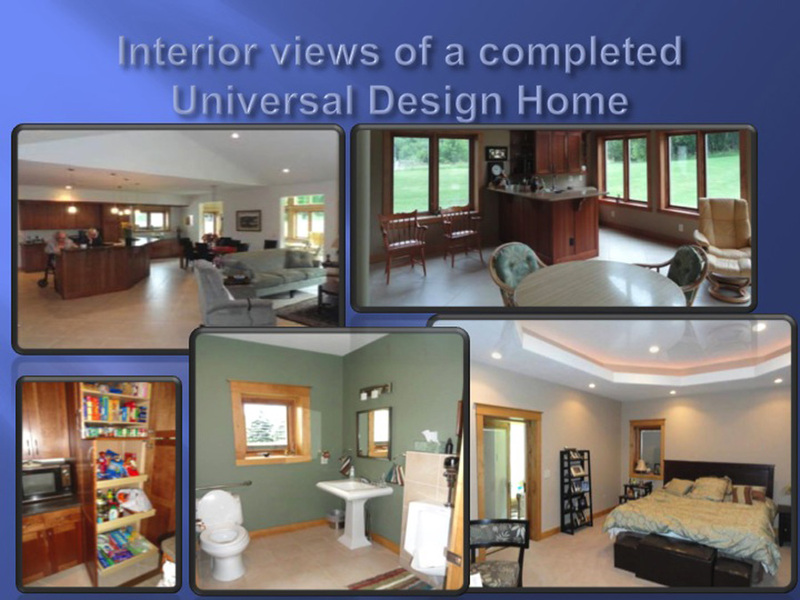 Wheelchair accessible, wide doors, lowered sinks, etc.